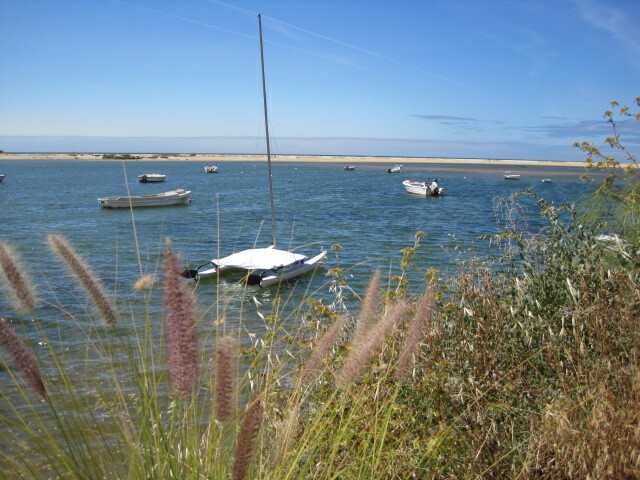 In the midst of packing, and abysmal English weather, I pause to look back at what I have to look forward to. One of these images might get me into trouble when I return. My very last day, when the dry river beds weren’t, but the company was good. I hope Spring has sprung for you. Wishing you all a wonderful weekend! Let’s get straight to the point with Debbie and her Six Words. Isn’t this a view worth falling down a hole for? Well, don’t worry! I’ve already done the falling, and you really won’t need to. 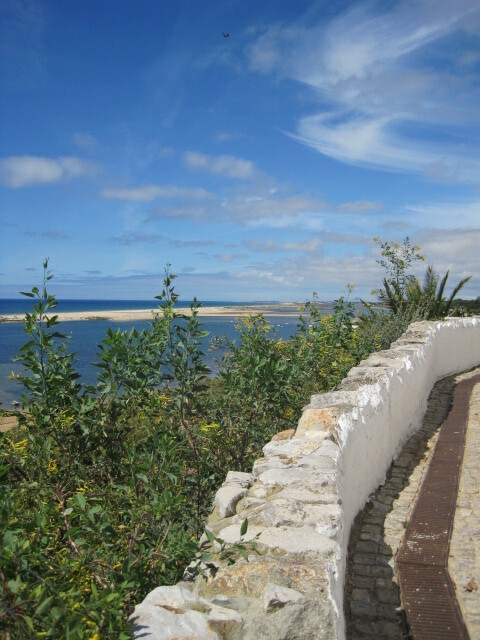 The view above is at Cacela Velha, the midway point in a beautiful walk. Let’s proceed with caution, shall we? Good walking weather! 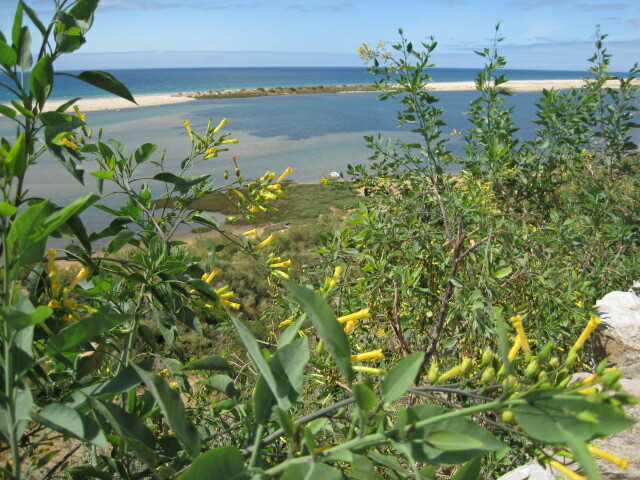 We started from behind the broad beach at Manta Rota, in the Eastern Algarve, and picked our way through the madly flowering sea broom. 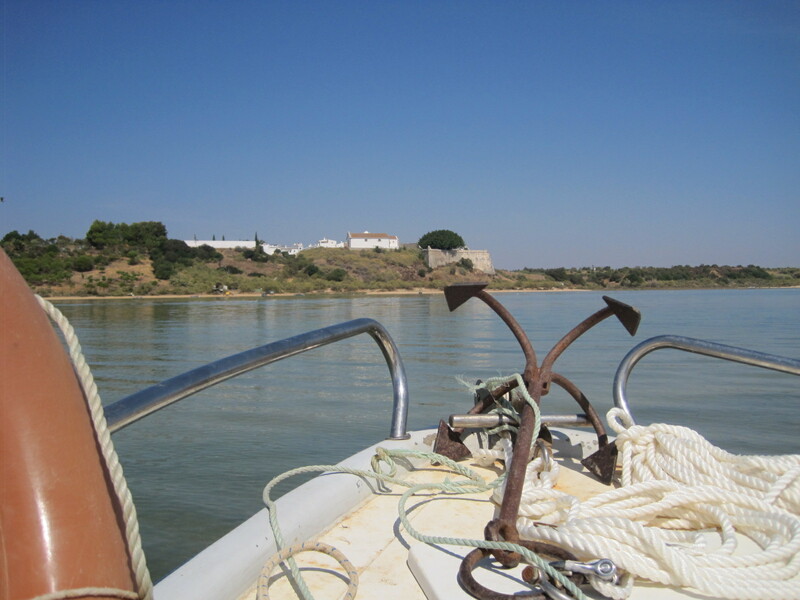 We were heading west, towards Cacela Velha, with plenty of distractions along the way. There was a bit of a scramble at one rather steep point, but the men in the group shepherded us through, and then it was easy going again. At this point, we trod quite carefully. Sandy, the walk leader, emphasized we should keep clear of the slippery rim. Normally the stream was forded by stepping stones, but they seem to have disappeared. It wasn’t particularly tricky, so long as you kept your eye on the path. 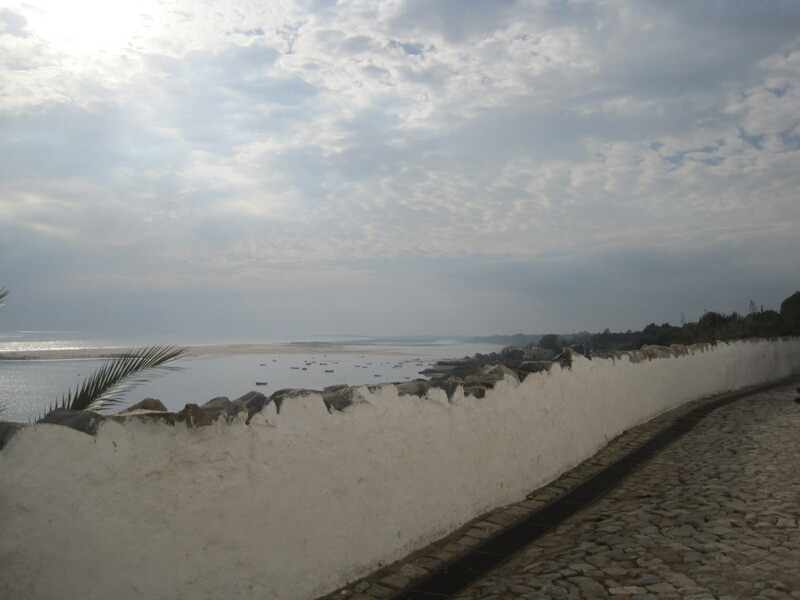 In any case, the village of Cacela Velha lay just ahead of us, and a coffee stop was planned. 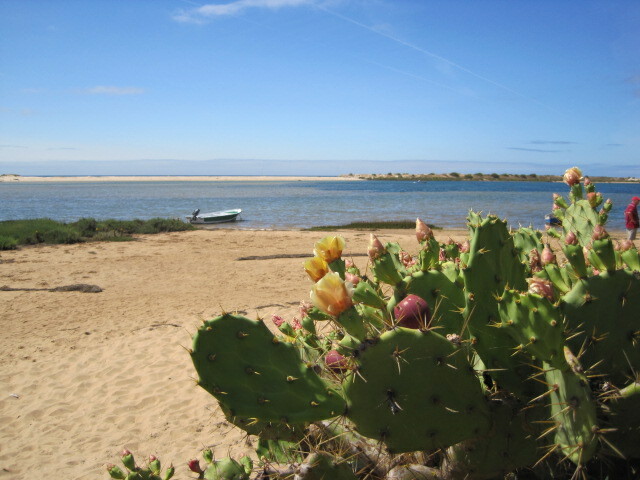 I make no secret of the fact that this is one of my favourite Algarve places, and that neither time nor man has been able to spoil it. Though the addition of certain art pieces could be questioned? You might recognise that lamp in the corner of the shot. 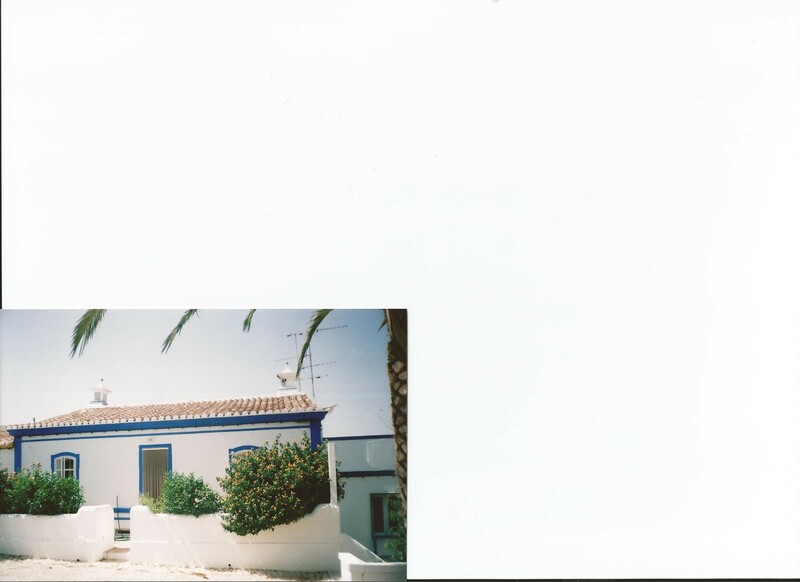 There are several about the village, and one made a very discreet appearance in my Lingering look at Algarve windows last week. 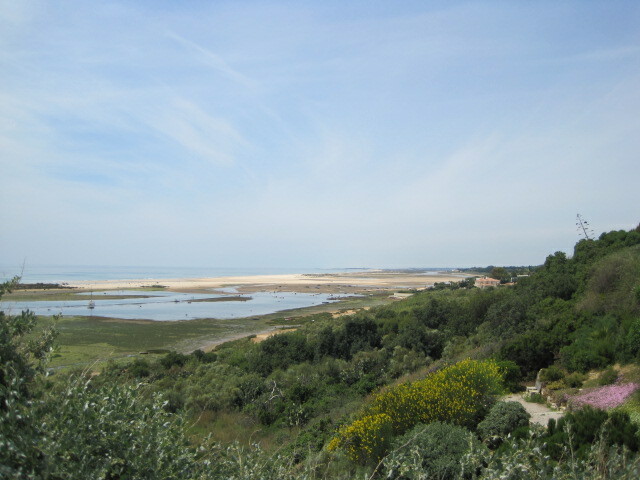 The view really doesn’t need any enhancement, does it? Is it any wonder I like to linger here? 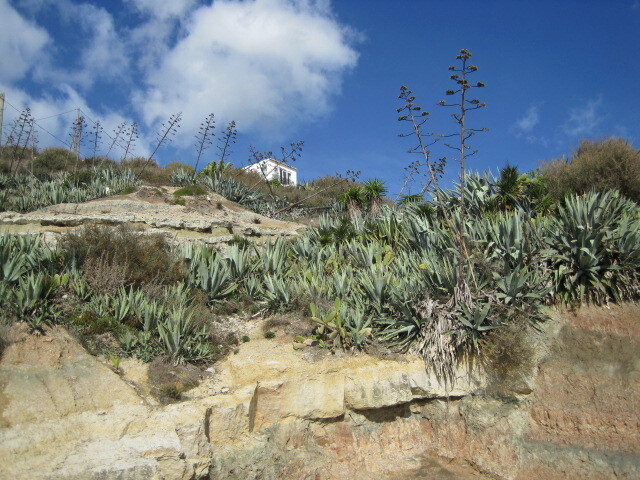 At this point it had become quite hot, and it was wonderful to be going down the steps to walk further along the beach, in the direction of the next small village, Fabrica. 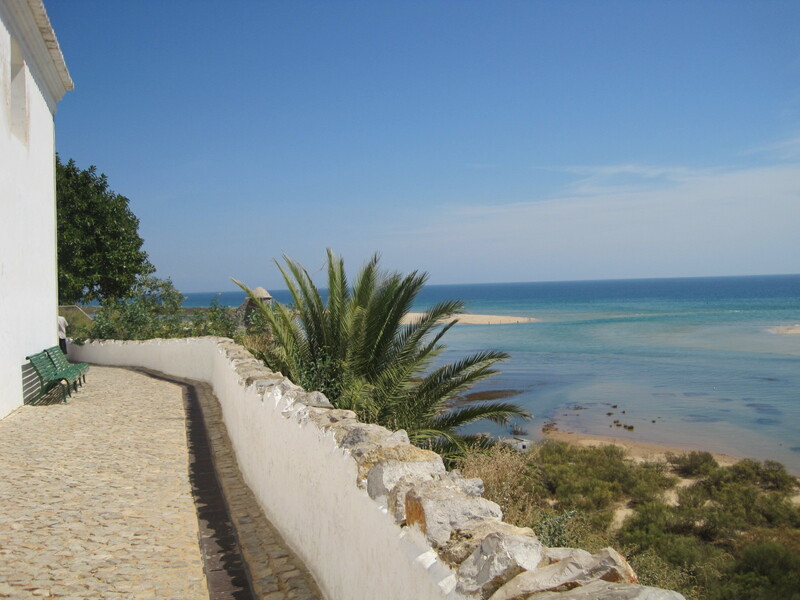 Not so charming as Cacela Velha, but you probably wouldn’t mind owning the large property erected by a builder, right on the shoreline. 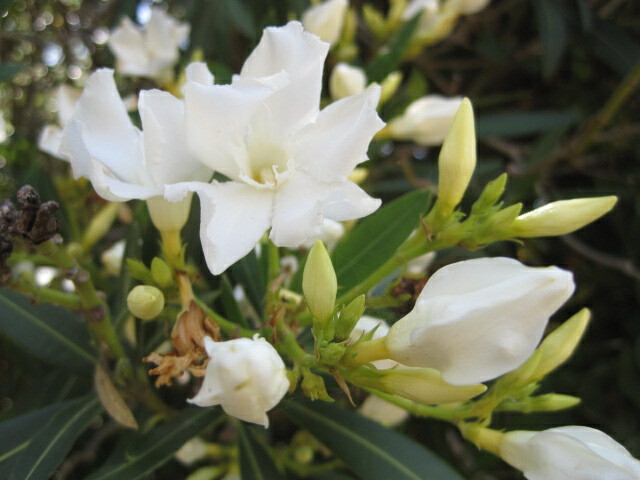 The oleander are lovely this year! And the columbine are doing battle with the cacti. Losing, I think! 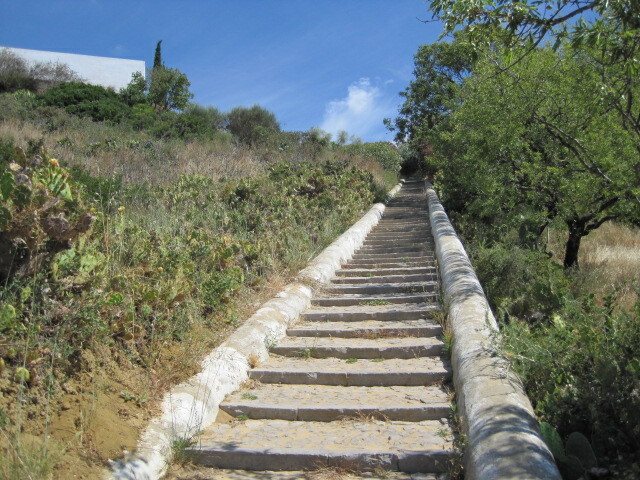 There are a LOT of steps, but down is ok! Have I lulled you into a false sense of security yet? It’s so peaceful, isn’t it? Time to head for home. 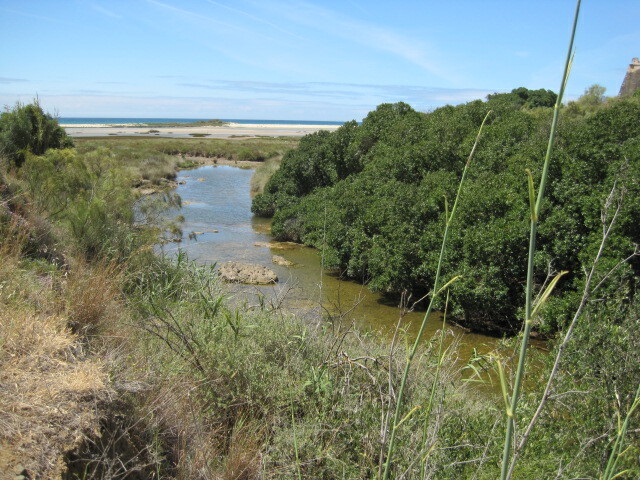 There is only one road out of Fabrica, so we turned inland and followed it, back towards Cacela Velha. As walkers do, we were chatting away, discovering fascinating facts about the surrounds, and about each other. 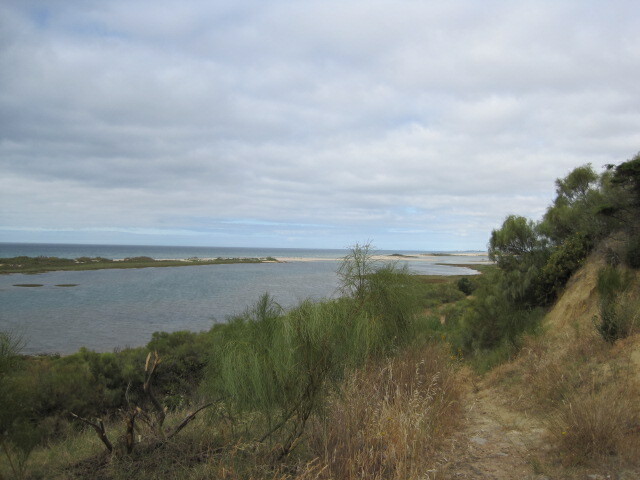 We pass a couple of horses and a donkey in a field, and turn back down to the coast. Crossing over the bridge, we are back on our original trail. See that lip of soil, at the forefront of the photo? Suddenly my feet shot off the edge and I was plummeting down, towards the stream! Fortunately, one of the men had the presence of mind to grab for me, and then I was dangling by a hand. As my feet scrambled for non-existent footing, another of the men grabbed my other arm and I was hauled unceremoniously out. Bruised, shaken, and the cream shorts a bit the worse for wear! I can’t even remember whether I took that photo before or after my fall! It doesn’t really show the wicked little curve that I missed while I was busy talking. My husband was far ahead but said that when he heard the shout go up, he knew immediately who’d fallen! I was very lucky because I would certainly have broken something if they hadn’t halted my fall. 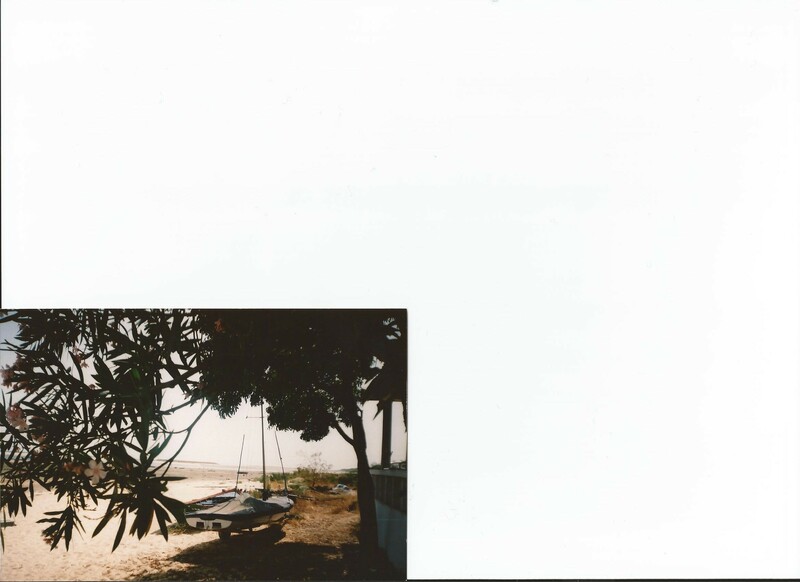 As it was, I escaped with a wrenched shoulder and a few cuts and bruises. 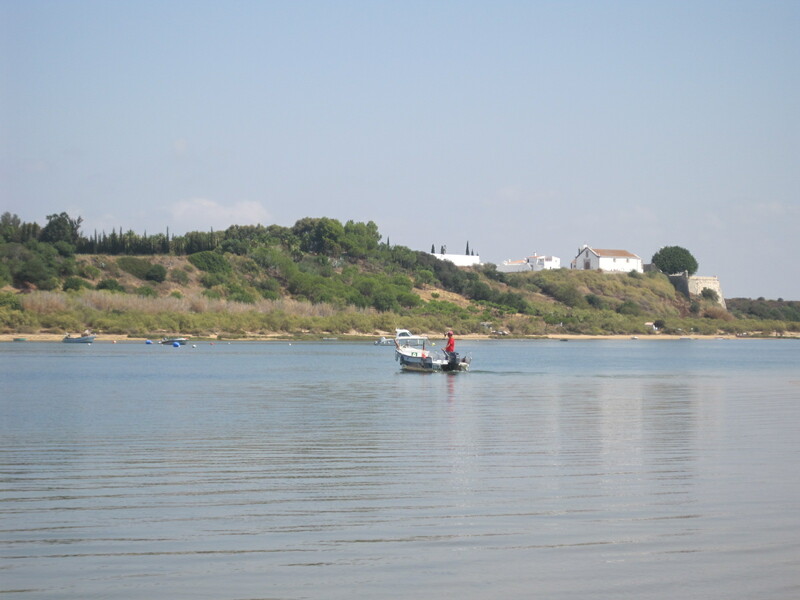 I have to admit, I was happy to arrive at the restaurant, on the edge of Manta Rota, where we gathered afterwards. I needed a steadying drink! 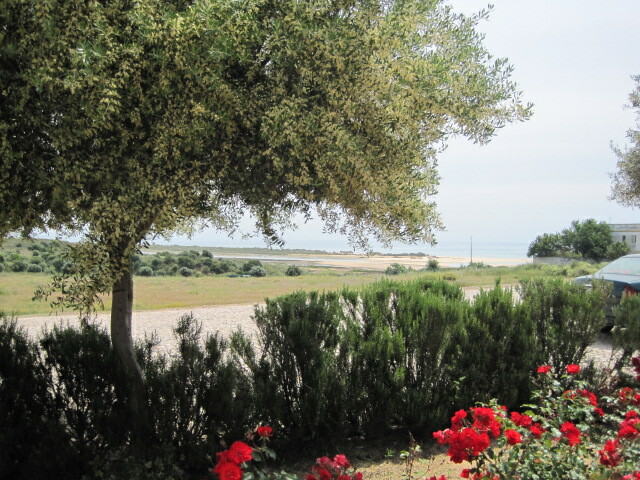 In the shade of the vines, with good food and company, I was able to laugh about the entertainment I had provided. I hope you enjoyed this week’s walk. The surroundings are lovely, aren’t they? 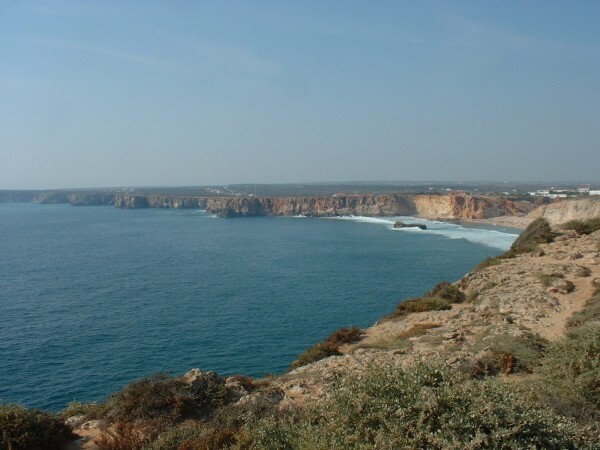 Both Manta Rota and Cacela Velha are signed off the E125, the Algarve’s coastal road. I have acquired a faithful little band of walkers, and I am extremely grateful for their company. Each Monday I share the walks posted in the previous week. Please join me and my friends if you would like to. Let’s go visiting, shall we? 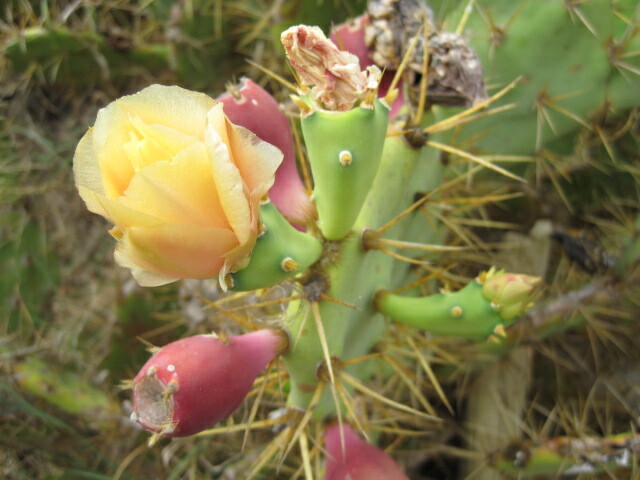 Have a great walking week, everybody, but do be careful, won’t you? I just realised, this is my 400th post. No wonder I’m feeling tired! 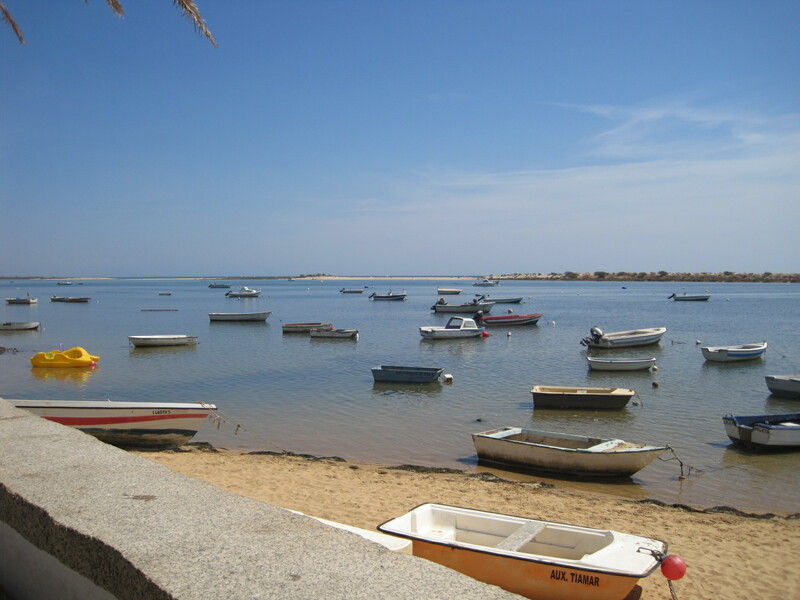 There are few places more special to me than the tiny village of Cacela Velha in the Algarve. 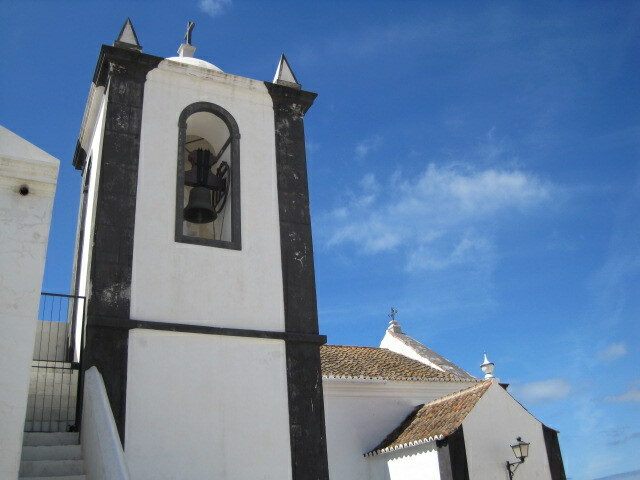 Long before I ever came to Portugal I had read about it in the Rough Guide. A cobbled path surrounds the church, and on a day with even the merest hint of sunshine you can sit on a bench, with your back against the church wall, and gaze dreamily out to sea. The occasional footfall disturbs and a visitor will appear, round the corner. Some will nod, “Bom dia!” with a trace of a smile. 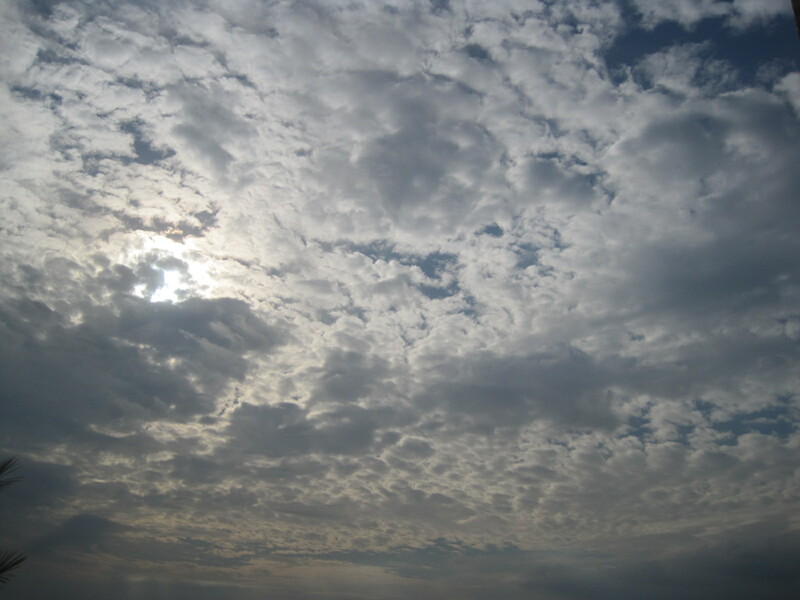 Others avert their eyes or focus on the view beyond the wall. There are two benches and sometimes the other is occupied. A bike might be propped against the wall. There is no transport into the village. The birds sing, and alight shyly on the wall. 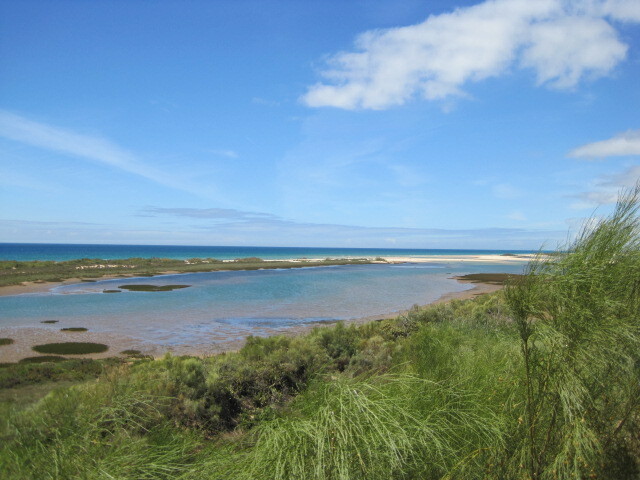 All is peace and tranquillity. After a while I rise from the bench and walk round to the front of the church. The carvings around the door each tell their own story. The village is Sunday quiet, but then, it’s like that most days! 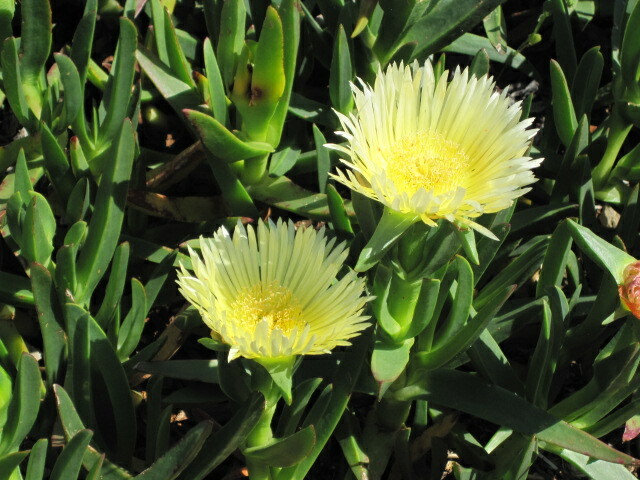 All of the activity centres on the cemetery and the bringing of fresh flowers. But I know that this village can erupt into life. I was there once for the Festival of Enchanted Nights. Hookahs, Turkish tea and dancing ladies! Can you imagine it? 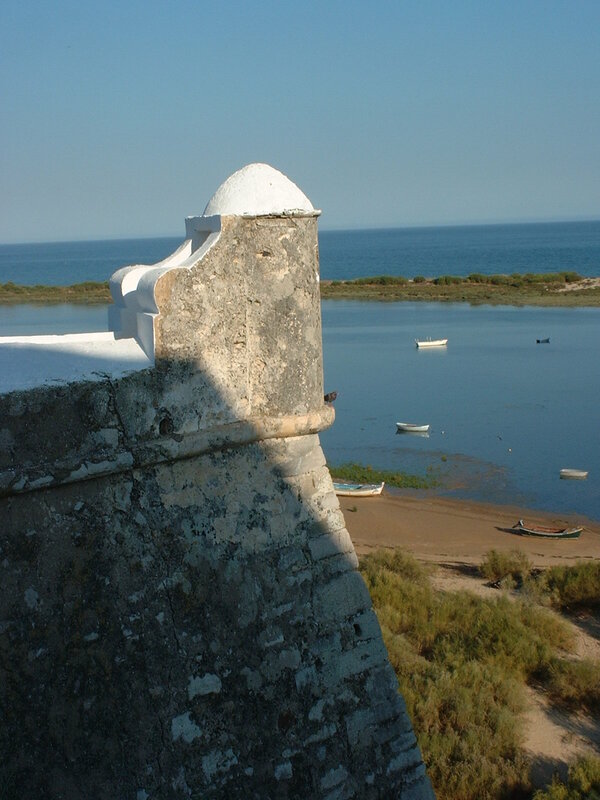 Changes come, as they surely must, but I so hope that Cacela Velha hangs on to the integrity which, for me, makes it a very special place. Wishing Paula a very special Thursday. It’s her birthday! There are far more important C’s in all of Portugal than this tiny smudge on the map. 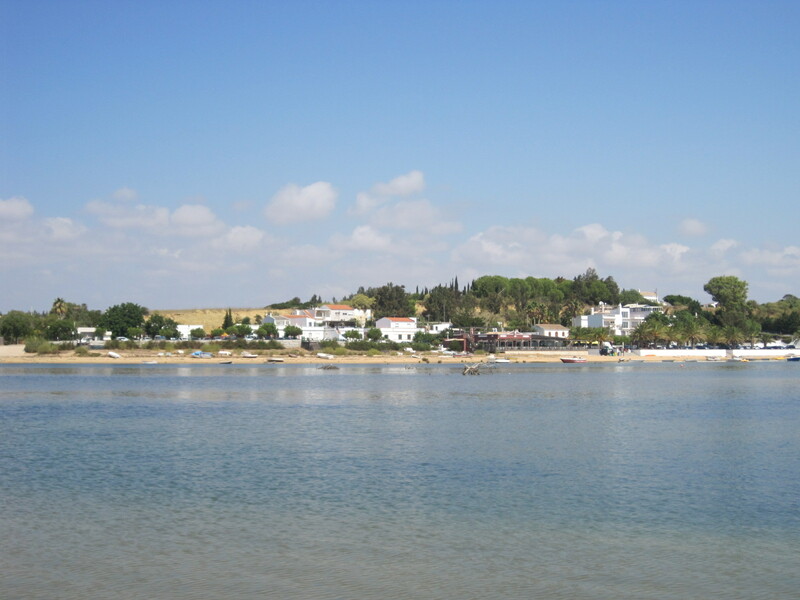 There’s Coimbra, Castelo Branco, or even famous Cascais on Lisbon’s doorstep. 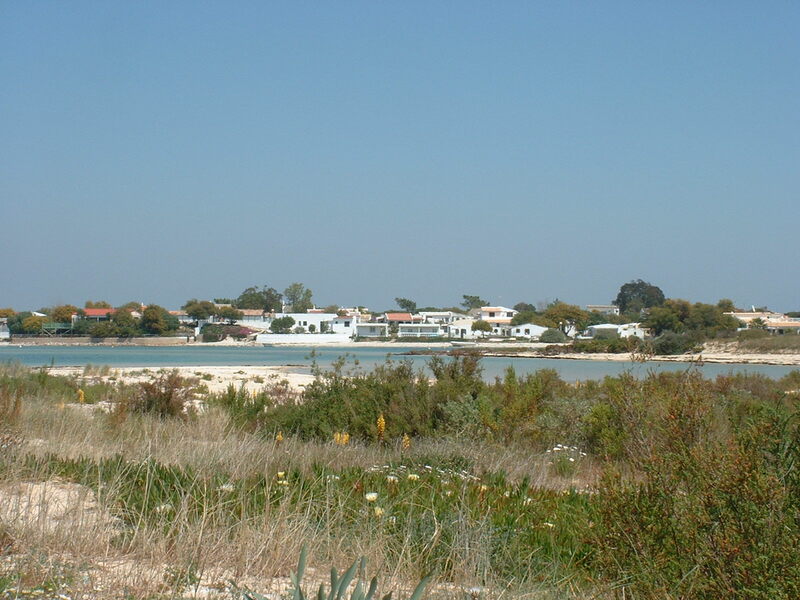 I’d love to visit all of them, but for me this personal C has to be about Cacela Velha (Old Cacela). 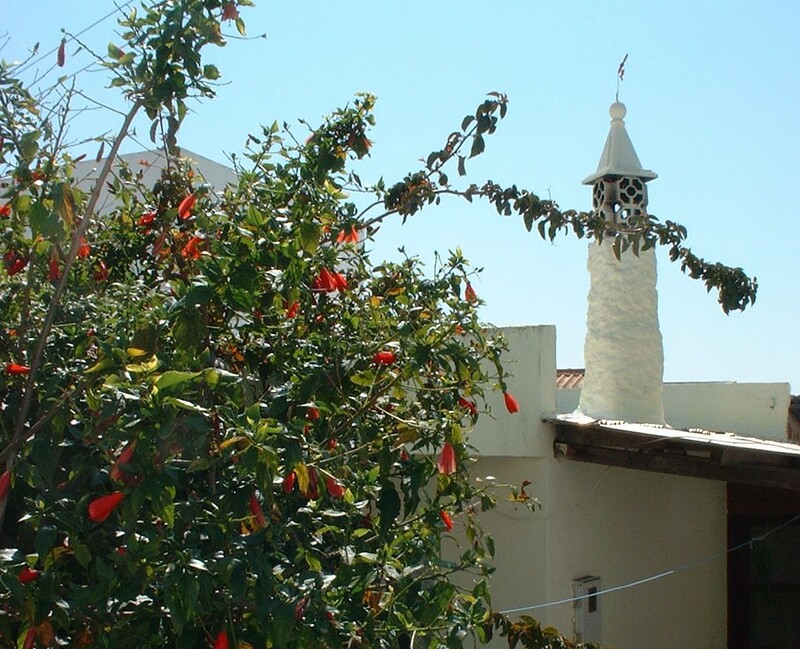 How does a tiny village on the cliff edge of the Algarve, Portugal’s most touristy spot, cling on to the old days and keep faith with its roots? I’m not sure that it can be done. 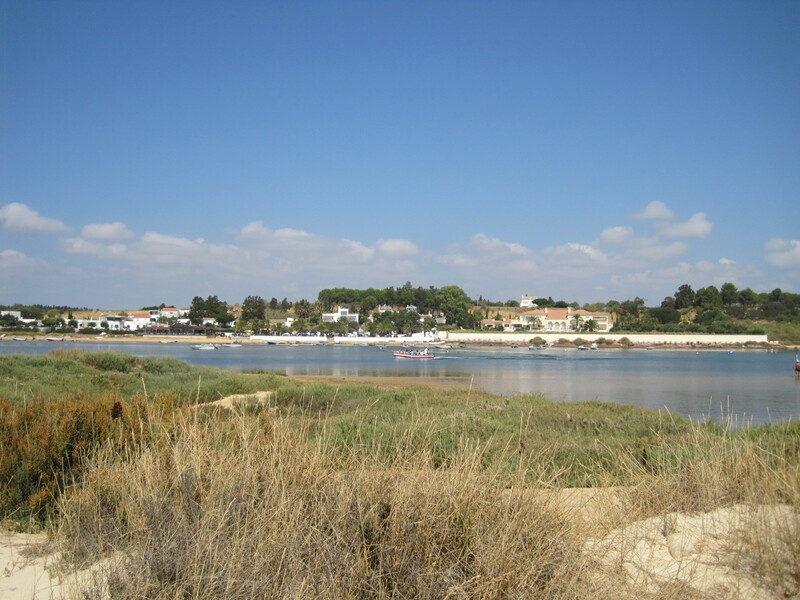 When we first came to the Algarve 8 years ago I had been avidly reading any and every book I could find to seek out the best places to visit. 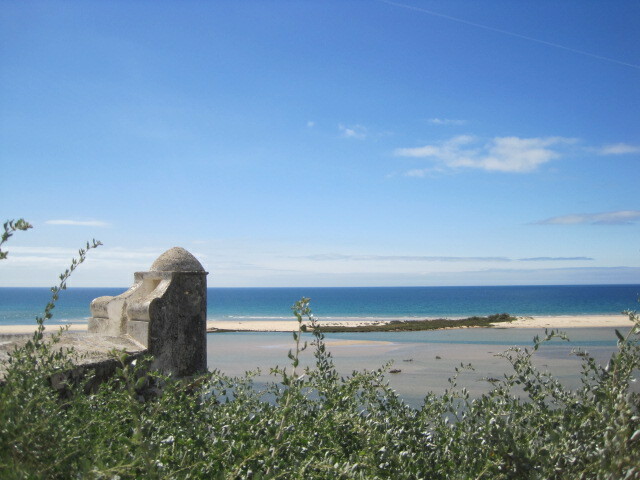 The Rough Guide mentioned Cacela Velha, saying I should get there quickly before it was completely ruined. I needed no second invitation. 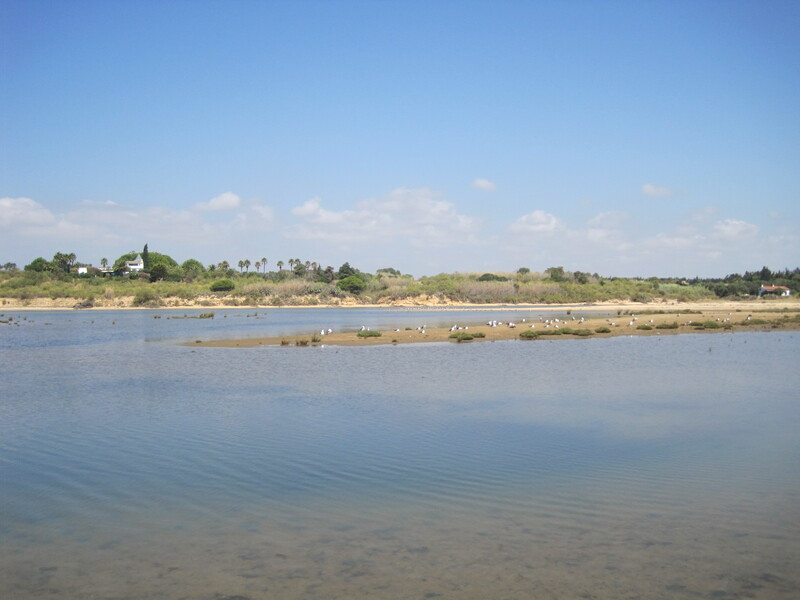 The location has certainly helped to keep Cacela Velha unspoiled,although the bulldozers lumber not too far away. 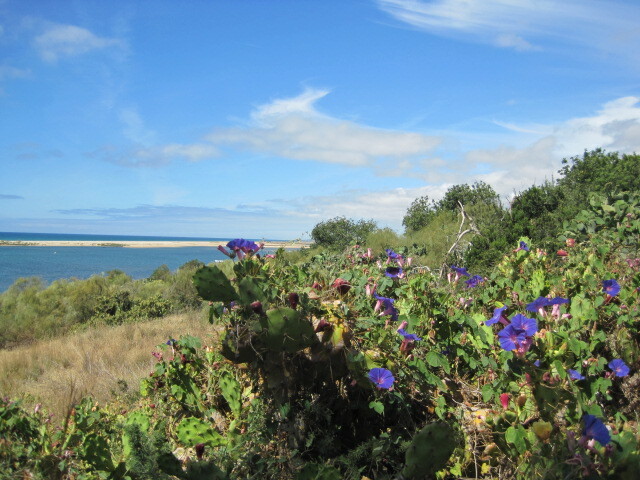 The nearest bus stop is on the E125, the old road along the Algarve, and a couple of kilometres walk along a twisting narrow road. In this era of the car that is very little deterrent. 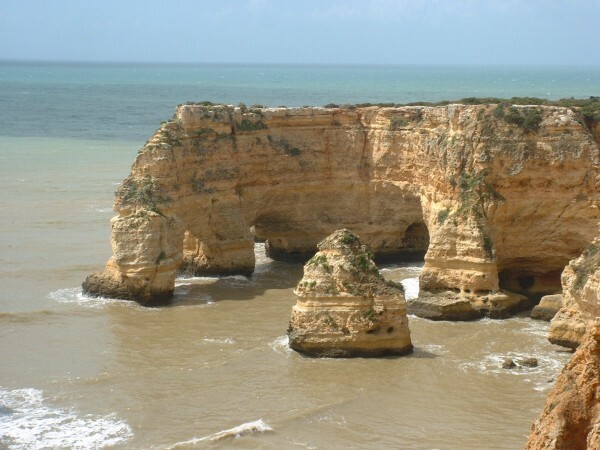 It sits above a beach which by Algarve standards is woeful. Still you only have to see it to fall in love. It is a photographer’s dream. 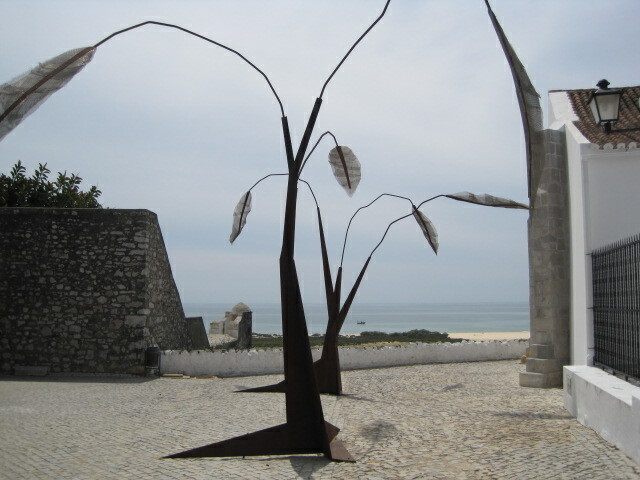 There is now proper parking where once there was scrubby grass, and a piece of “modern art” has appeared in the little square beside the castle walls. I can live with this, but please, that’s enough! It doesn’t need “fancification”. It is truly beautiful in its own right. 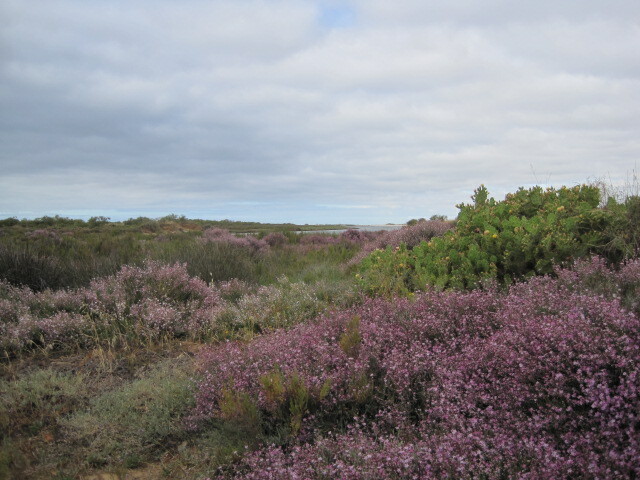 On a grey January English morning, I can picture it so vividly and feel the peace and calm of my first visit. 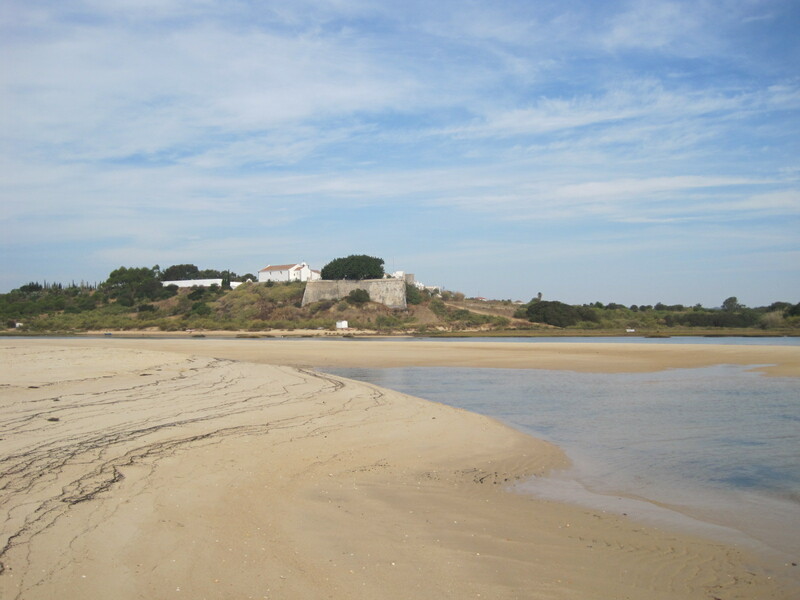 Just a church on a headland and the remains of a fortress- I suppose Praia da Rocha must have been like this once, though it’s hard to imagine. A huddle of cottages snooze sleepily together, cats seeming to outnumber people. 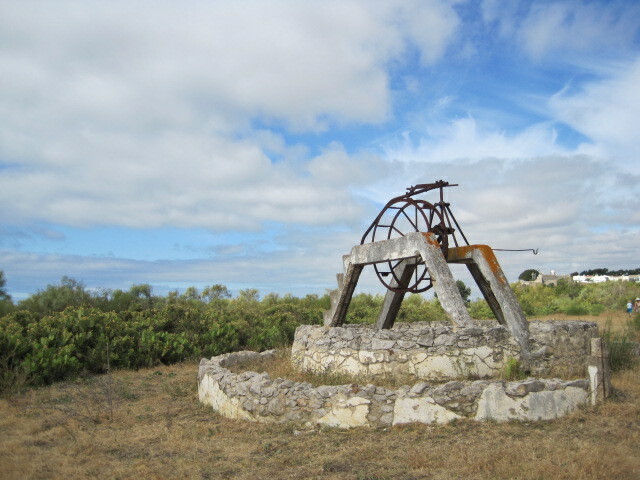 An old well is the focal point of the village square, the church and cemetery majestically off to one side. The magic is there already, but when you follow the path behind the church the vista that awaits you is spectacular. 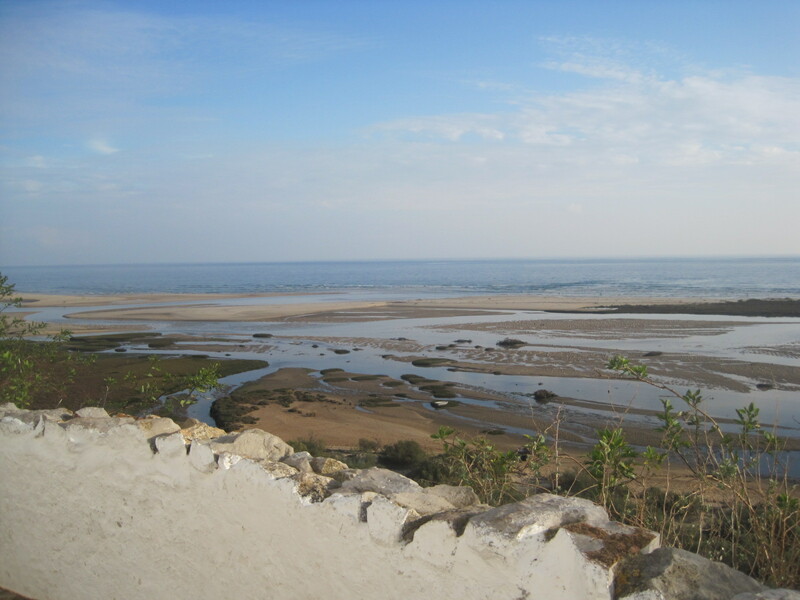 The shimmer of the water as it laps lazily at each sandspit stretches far into the distance, where sky meets sea. 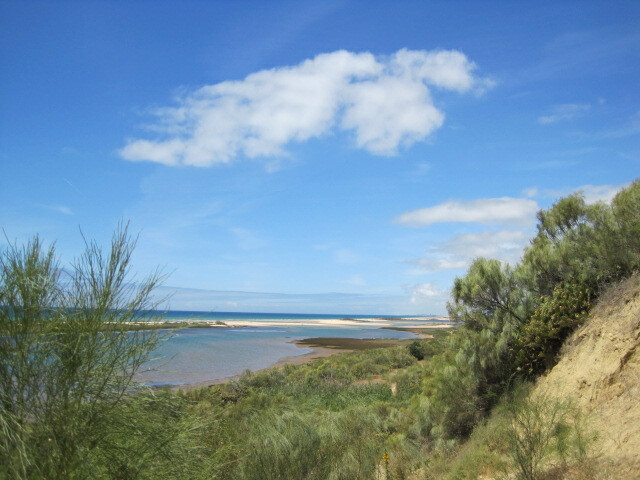 A patchwork of gold and blue and green, I said that the beach is woeful but at this height it’s hard to tell. 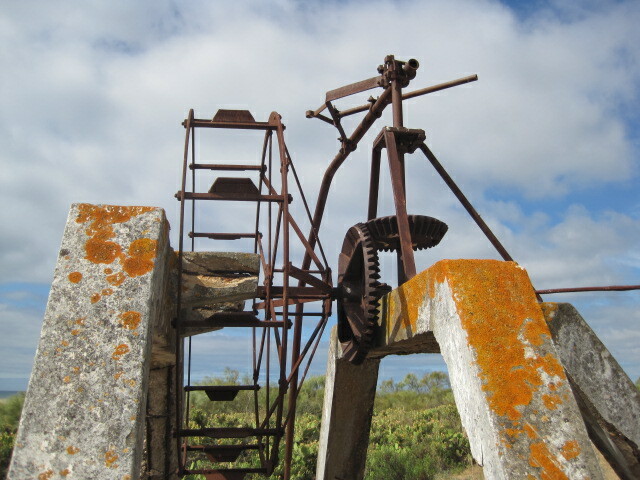 You may be lured down the steps for a closer look and to take some photos from a different angle. I can feel the photographers among you twitching to be there. 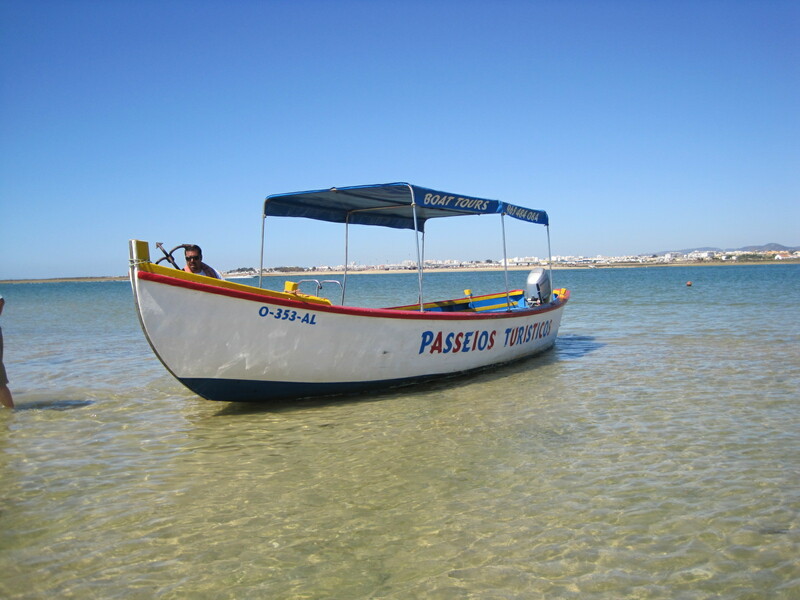 The beach isn’t up to much because it’s far back from the sea and you need to ferry across to Praia de Cabanas for the real thing. I’ve never actually accomplished this as you need to catch the ferry from nearby Fabrica and parking there is increasingly difficult. 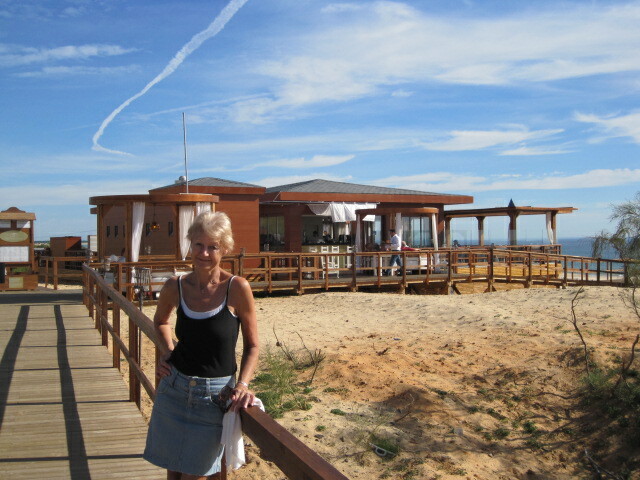 In any case, I’ve never needed to as I can more easily reach superb Cabanas beach from Cabanas itself. 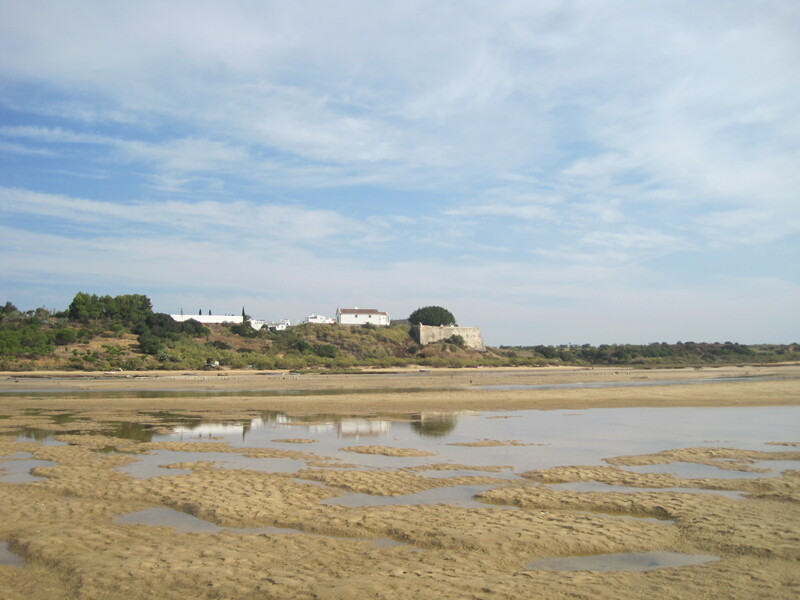 If I then walk and walk and walk along the beach, in the direction of Spain, I come to a channel of water across which I can just make out the church, with fortress beyond, perched up on its cliff top. 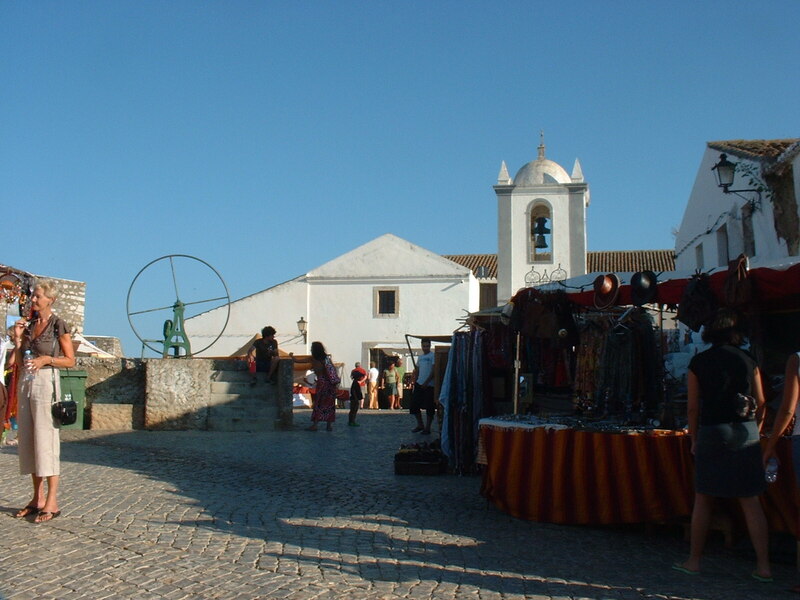 Cacela Velha was a stopover for traders in Phoenician times and in the 10th century was, in Arabic, Medina Qast’alla Daraj, so perhaps it is not surprising that the village comes alive in July to the Festival of Enchanted Nights, Noites da Moura Encantada. Suddenly the place is transformed and vibrating with life. 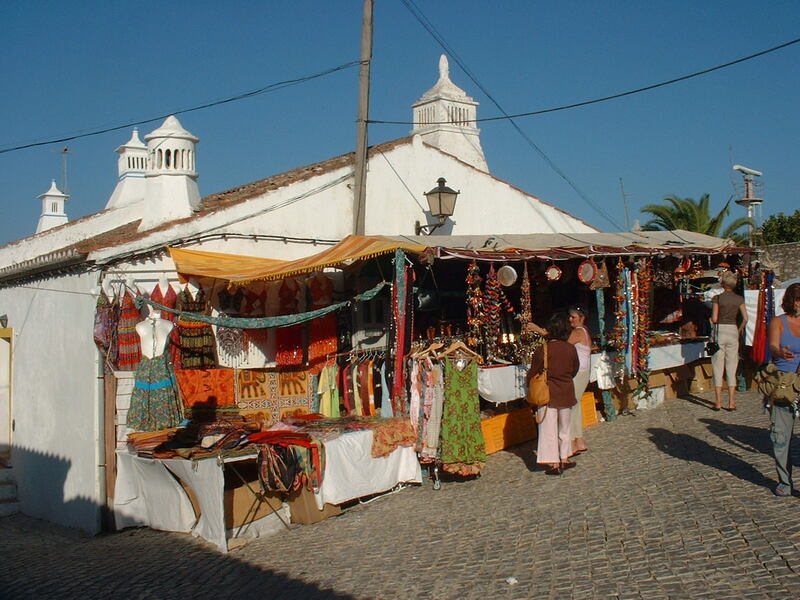 Stalls full of trinkets, oriental lamps and elaborate mosaic tables fill the tiny square and spill over into the car park. 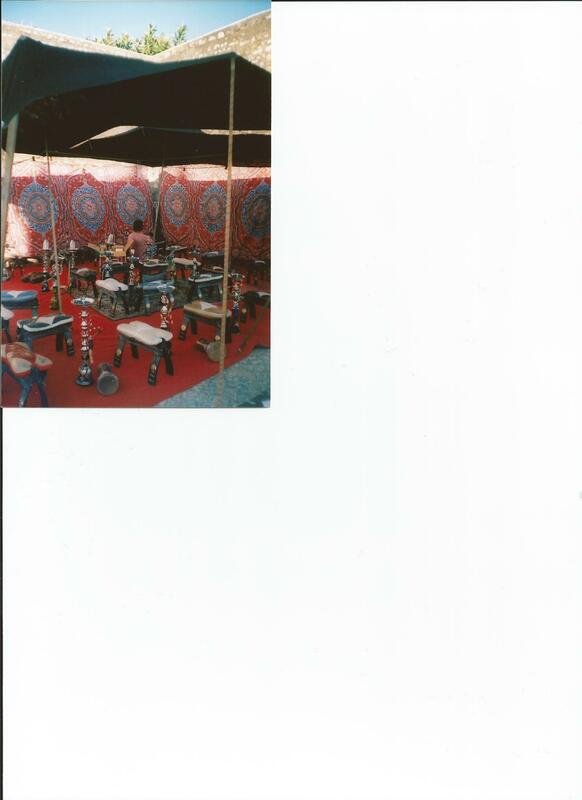 Stools, cushions, Berber rugs and hookahs appear, and mint tea is brewed, with an array of tantalising sweets and savouries. Bizarre but somehow not really out of place, a belly dancer gyrates beneath the fortress walls. Oriental music and aromas drift around the narrow corners. 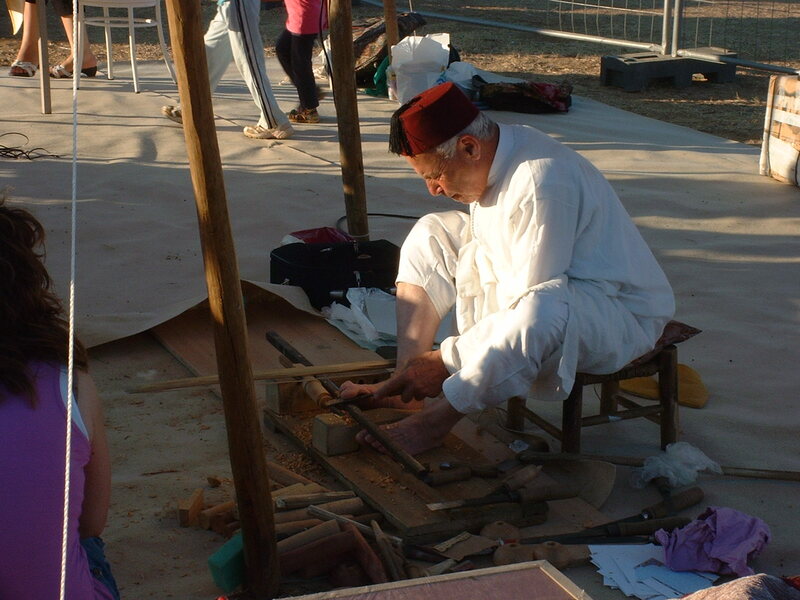 A camel paws the ground, while a craftsman demonstrates with his wooden lathe. But mostly the village is its peaceful self, and happy to be so. 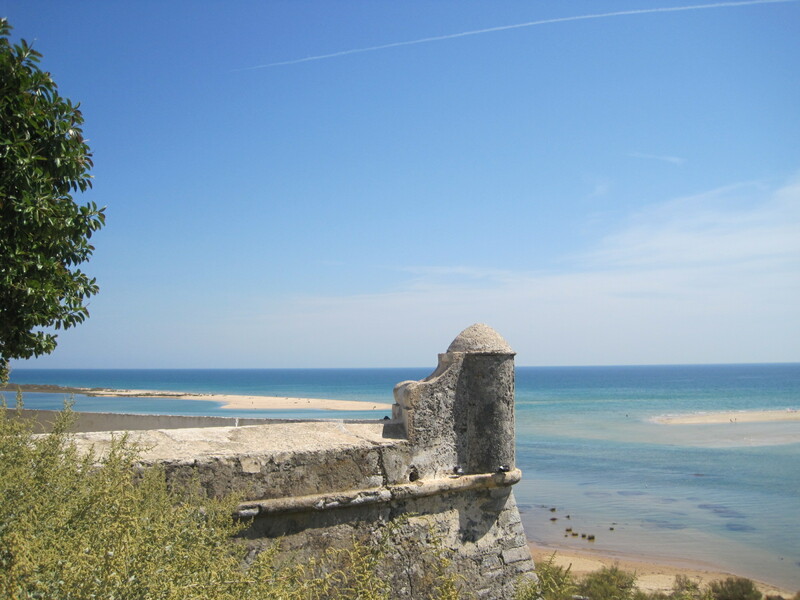 The fortress which once warned of invaders from the sea is now home to the local branch of the National Guard. 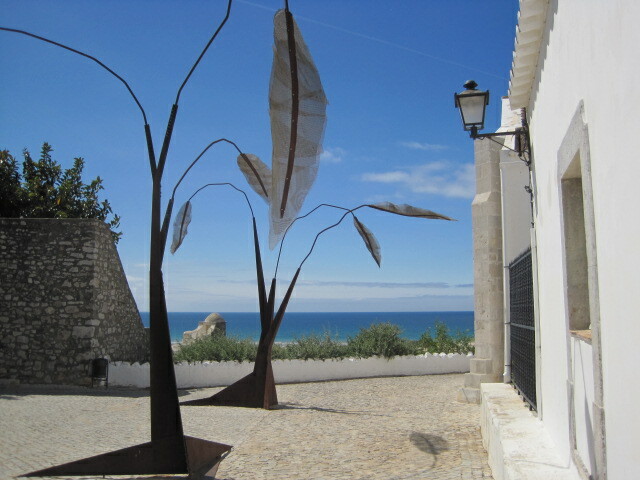 A couple of restaurants have come and gone, and currently Casa Velha enjoys good popularity. 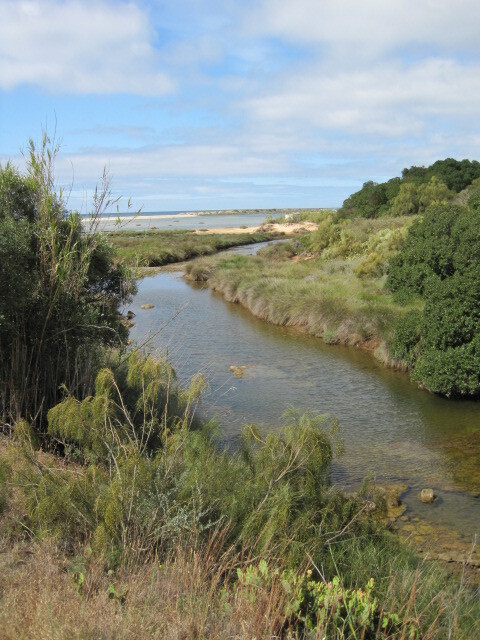 Despite the proximity of two golf courses, Quinta da Ria and Quinta da Cima, the protection afforded by the conservation status of the Ria Formosa is holding back the tide. Long may it continue to do so. So that’s my ‘C’. Just need to link to Julie Dawn Fox’s hubsite. You coming along on the A-Z challenge? 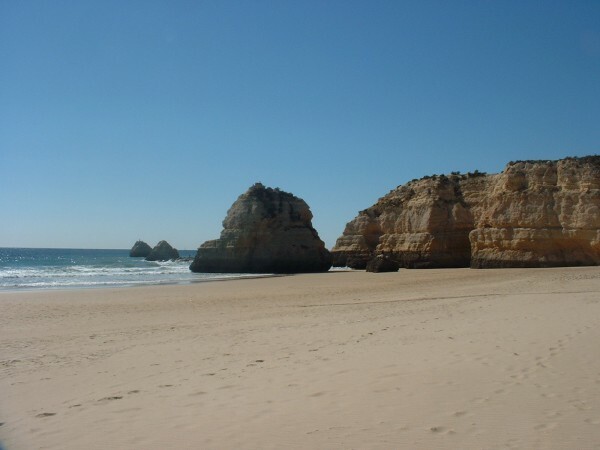 Ok, it’s predictable I know, but how could I have a home in the Algarve and NOT love beaches? 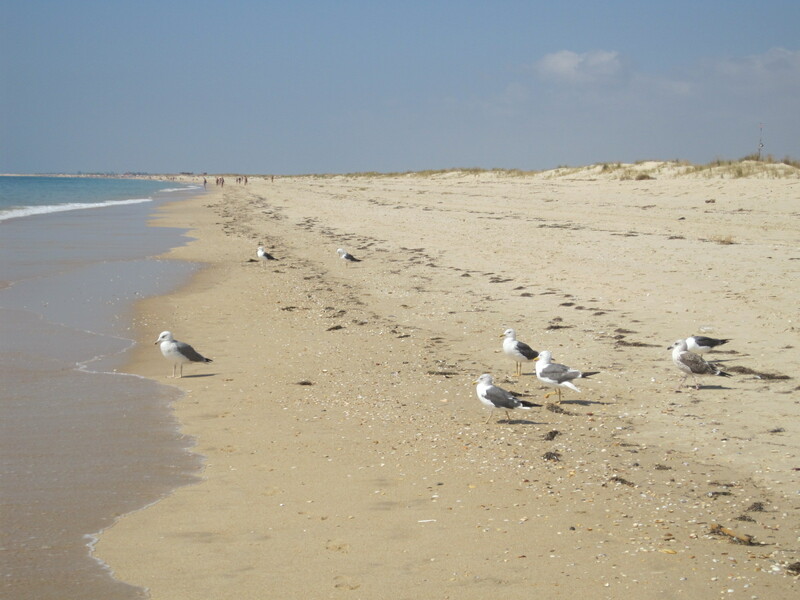 There’s nothing I like better than an amble along the beach, picking up the occasional shell for the collection. 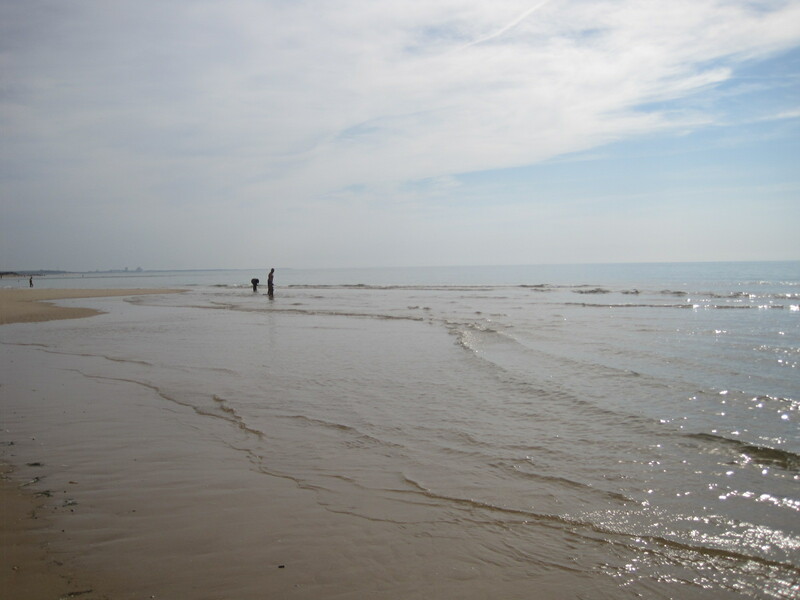 Flat, calm and twinkly in the sunlight, or raging and frothing, I love being beside the sea. 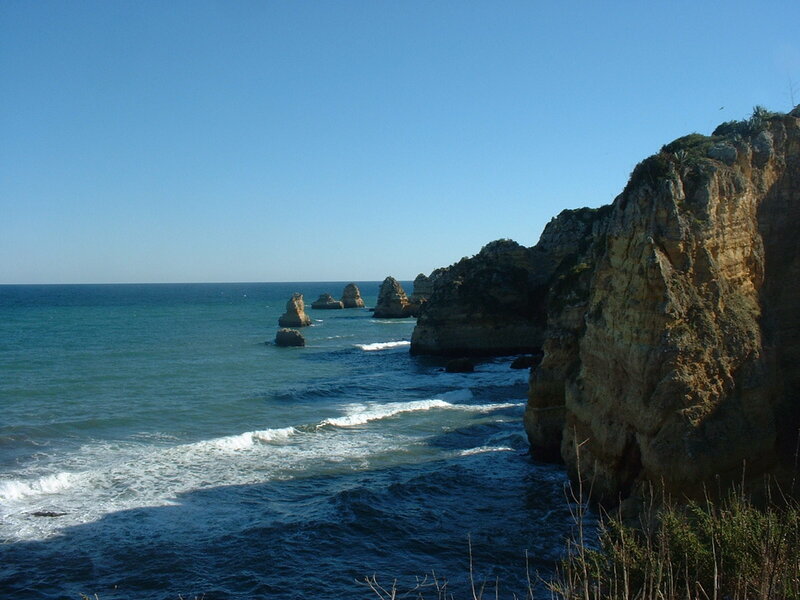 So where better than Portugal, with its wrap around beaches, north to south? 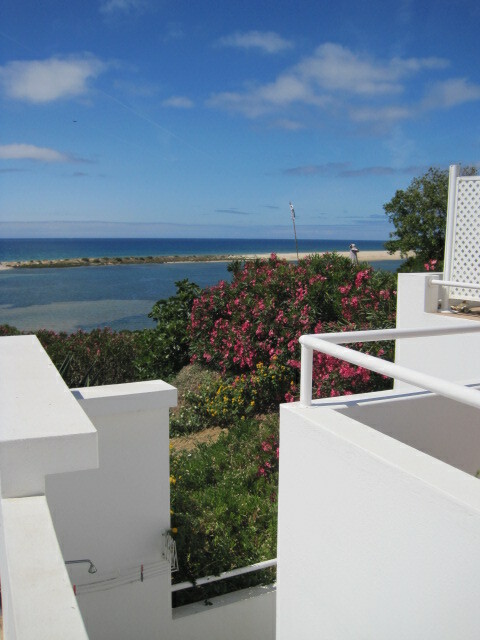 In theory I could walk the full length, starting off in my treasured Eastern Algarve. 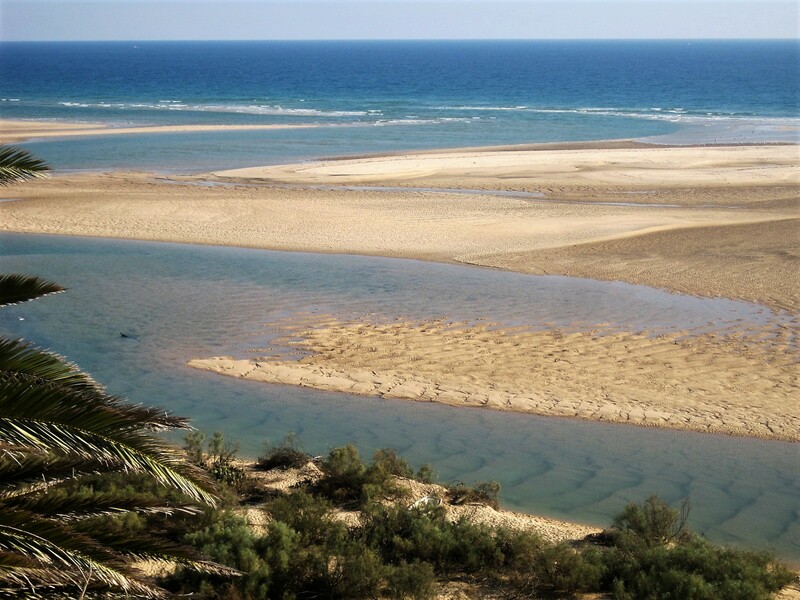 Of course, I’d have to swim the odd river. 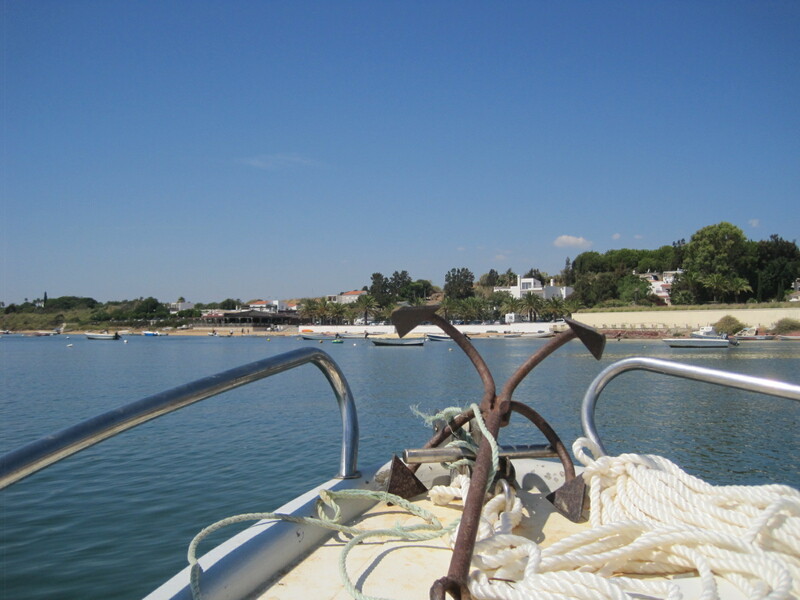 Perhaps I should take our inflatable dinghy with me- I’m not that much of a swimmer! Think of the Podcam I could do, if, of course, I were skilled and steady-handed enough to point the video camera in the first place. No. Better to focus on my digital memories. 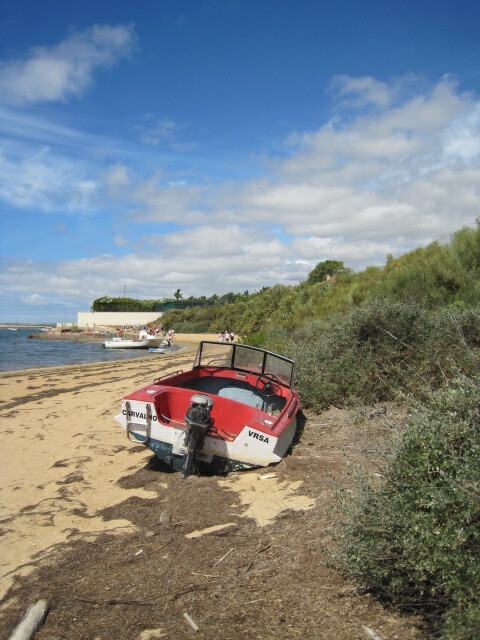 I’m starting in the east and going west, with a few impressions of the beaches that I love. 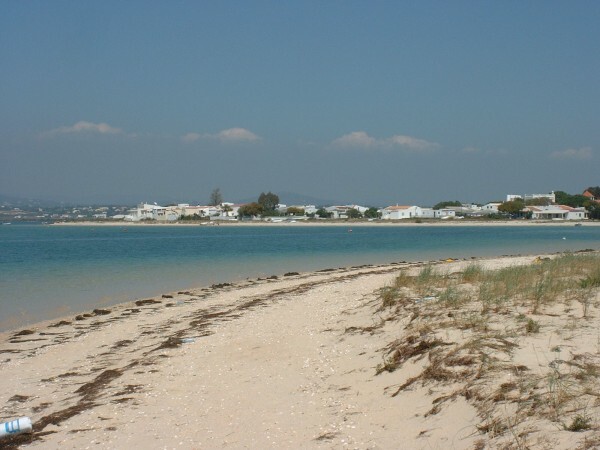 Praia de Verde, not far from Monte Gordo, was one of the first beaches ever recommended to me. 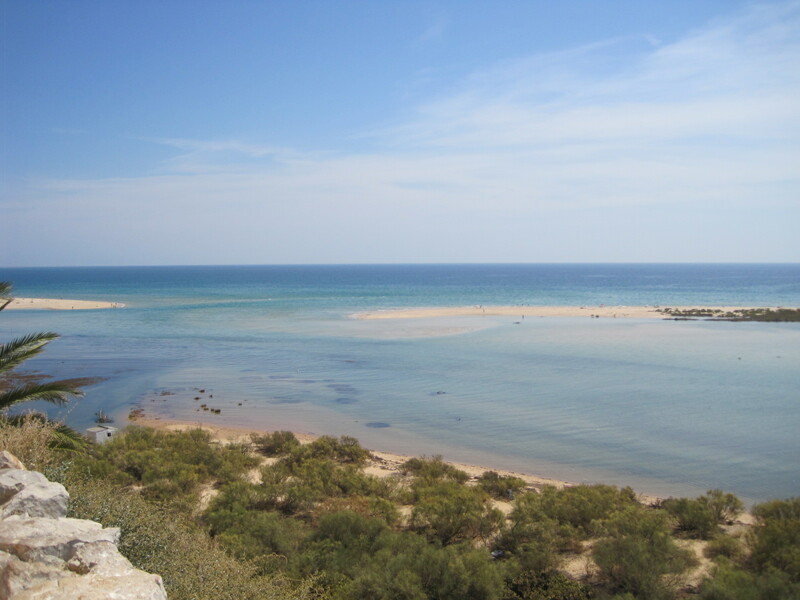 The coast at the eastern end of the Algarve is quite flat so I was surprised at the drop down to the beach from what is essentially an upmarket holiday village. 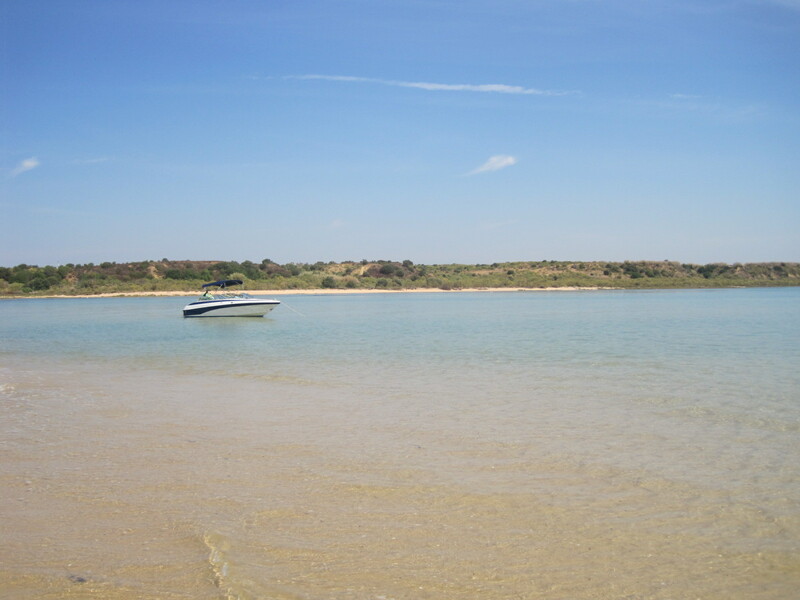 The bay is beautifully shallow and I’ve seen some of the prettiest fish basking in the warm water. 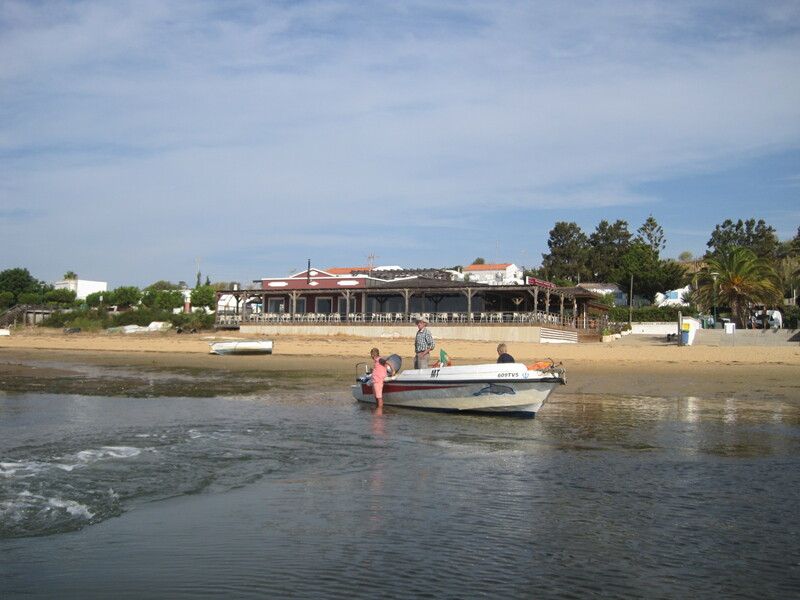 One of the big attractions is the restaurant Pezhinos n’ Areia. 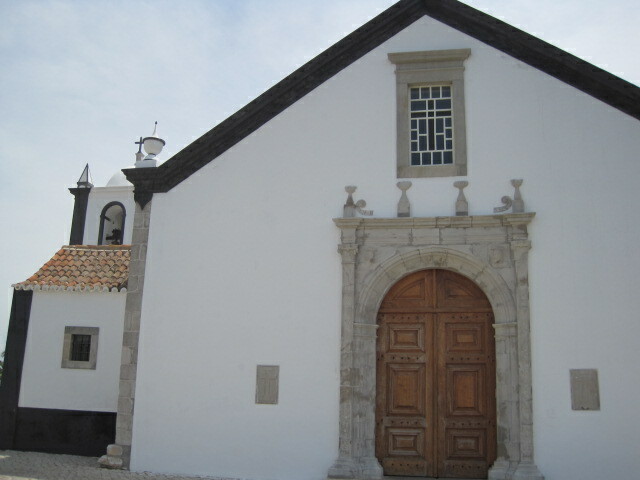 www.pezinhosnareia.com . It was much more simple when we first visited and less expensive too, but I would still consider it for a special lunch. 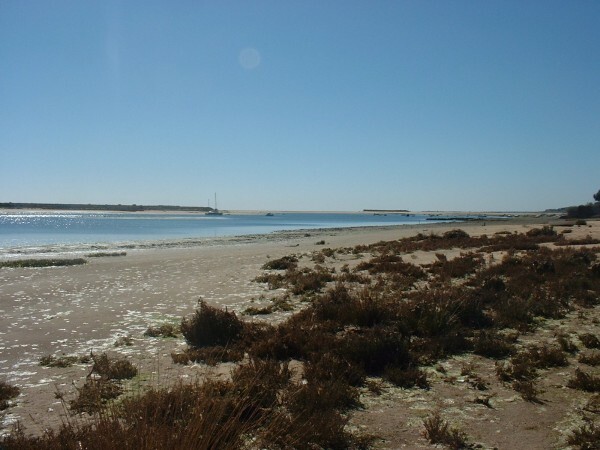 Armona This island was a strong competitor for my first post, “A is for”. It is unlike anywhere I’ve ever been before and I find it hugely charming. It’s reached by ferry out of the fishing port, Olhao, though you can also visit from tiny Fuseta, such is the length of these offshore islands of the Ria Formosa. 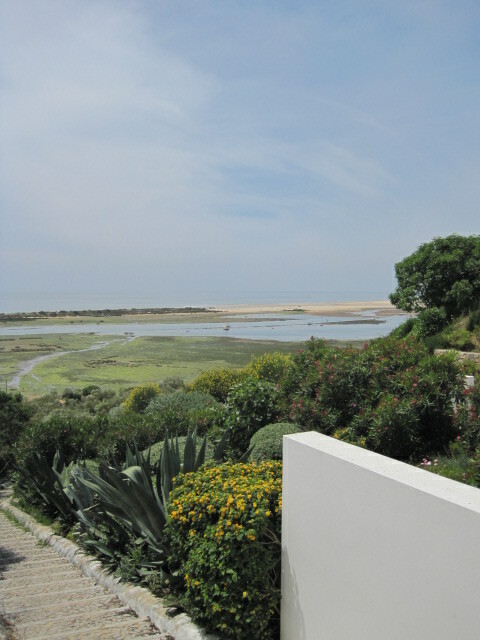 A path wends away from the harbour through myriad dwellings, many of them holiday lets, but they have enormous character. Driftwood and shells vie with the plants in the sandy front gardens. 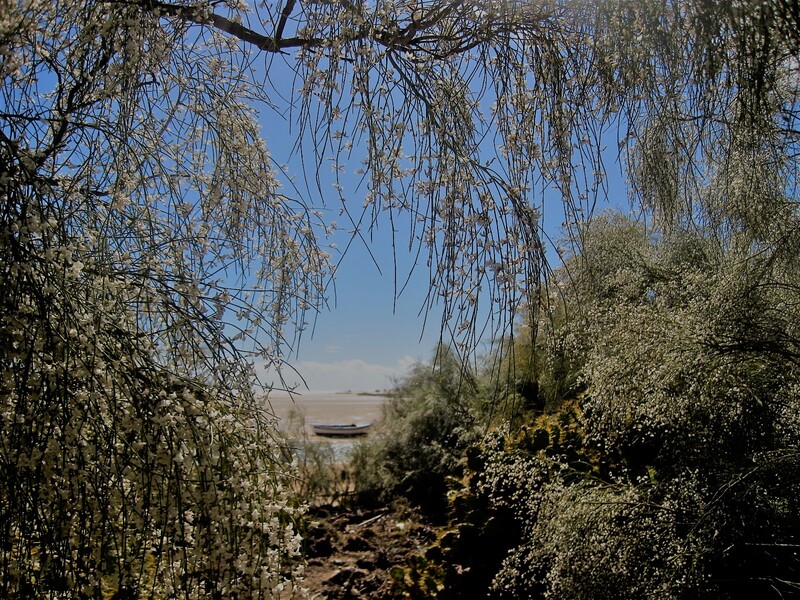 As you peak down the narrow lanes between them you catch glimpses of the sea and any one of them will take you to the shore. 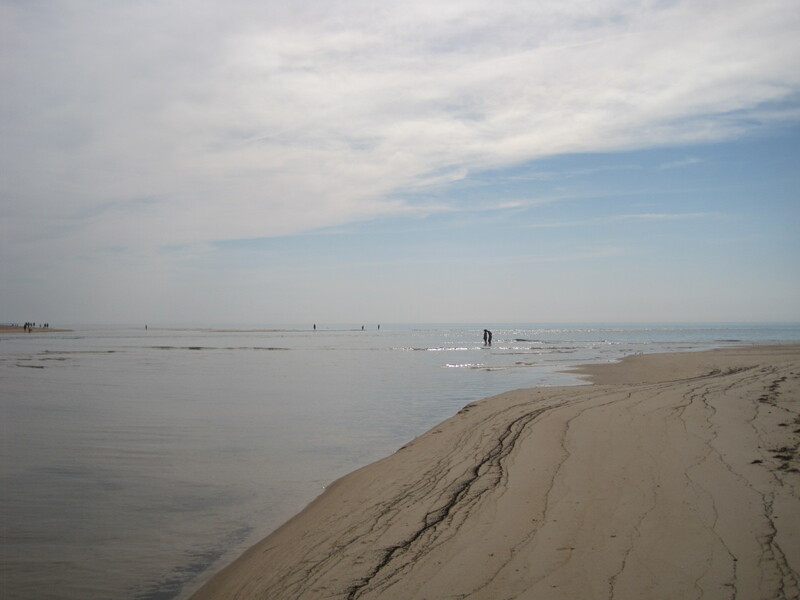 If you continue across the island you will come to the ocean facing beach- an endless expanse, sufficient enough even for me! There’s a beach bar here, or if you return to the harbour you have a choice of restaurants from which to look out across the water. 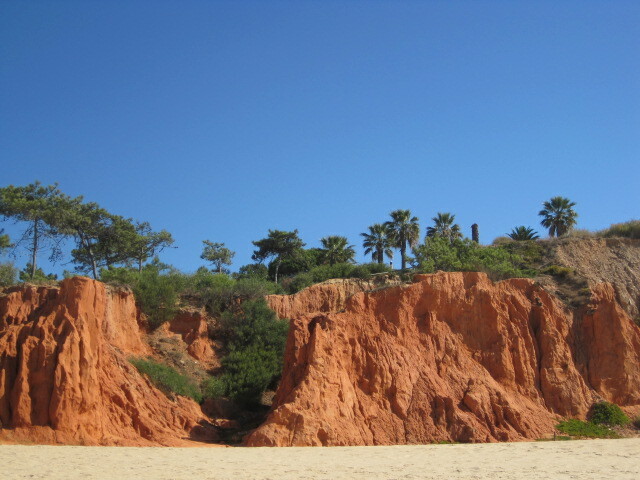 Once you head east from Faro airport, you reach the Algarve with which most people are familiar- red cliffs and golden sand speckled with rose. It’s just one long glorious beach, backed by a variety of resorts. 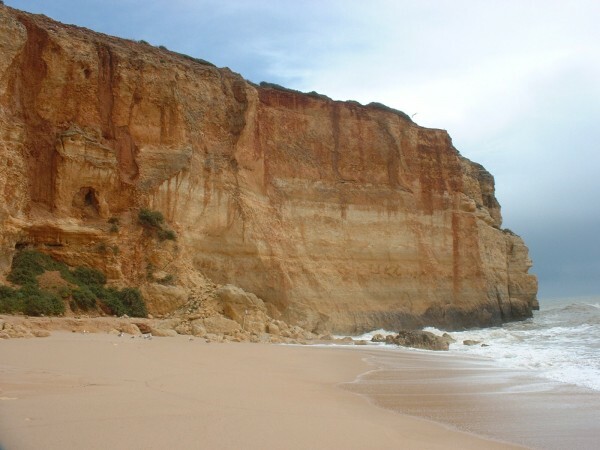 Stacks puncture the sand and walking the cliff tops is a joy. 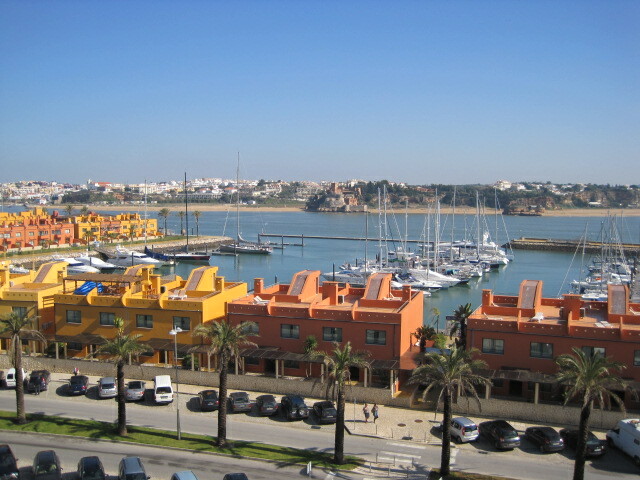 Commerciality has spoilt some of it, but in low season the beaches from Vilamoura to Lagos are more relaxed and it’s possible still to enjoy the wonderful beaches that brought development to the area. 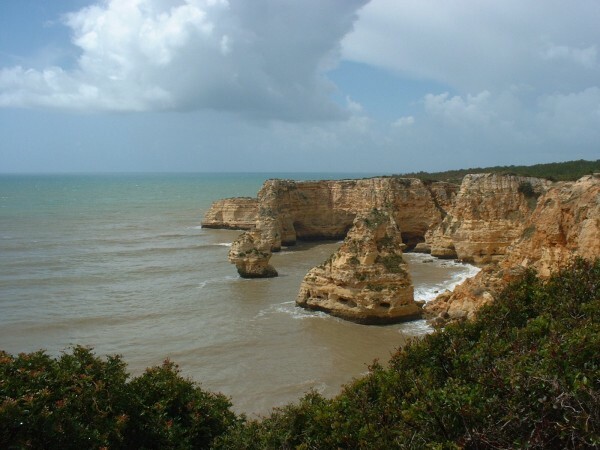 Praia de Marinha has some great memories for me. 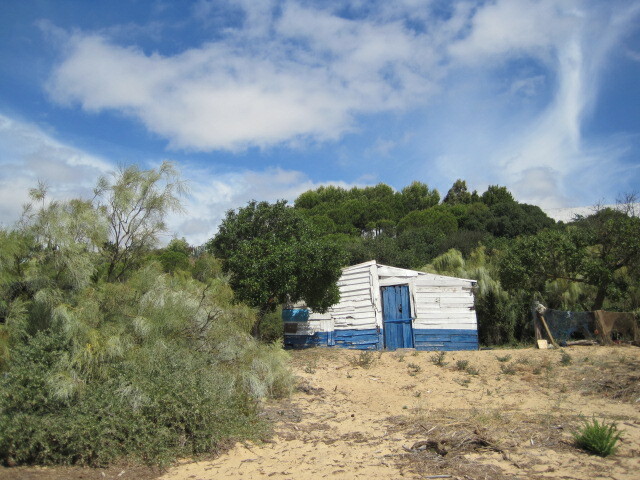 We walked the cliff top to Benagil one Spring day and were caught in a sudden downpour- from blue skies to hail stones, I kid you not!- and back to blue skies. 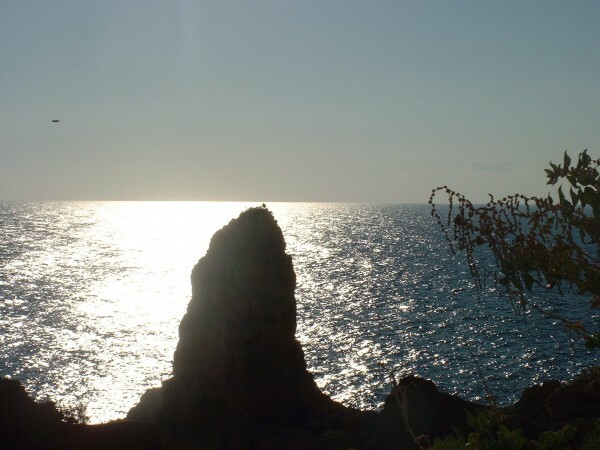 The scenery was glorious and the fields full of flowers but I’ll never forget the disconsolate expression on my husband’s face as we trooped down the hill to the tiny cove at Benagil, rolled up umbrella in hand. He soon rallied after a warming café duplo in the beachside bar. 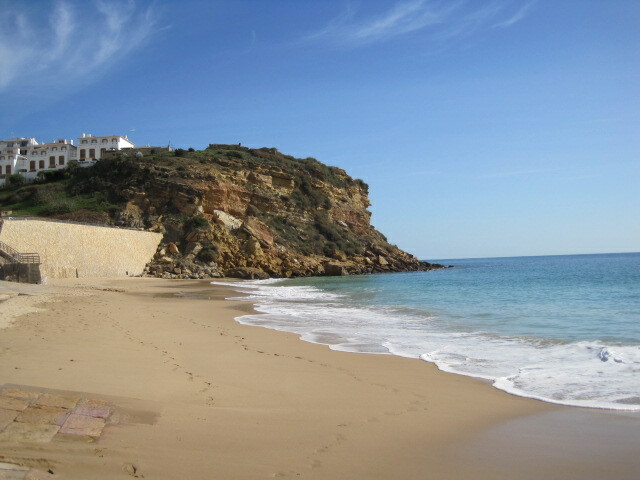 Burgau I’m rolling along to the west now, to a charismatic beach. 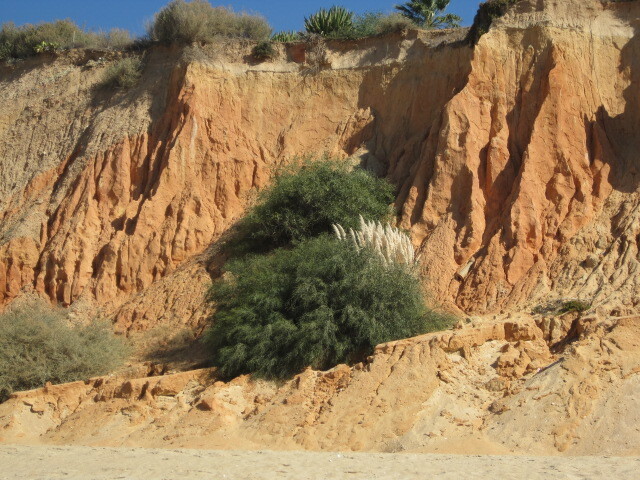 The sandy cliffs are threaded with agave and aloe vera plants and after a swim (paddle in my case) there’s one of those beach bars where you could probably lose a day or two of your life. 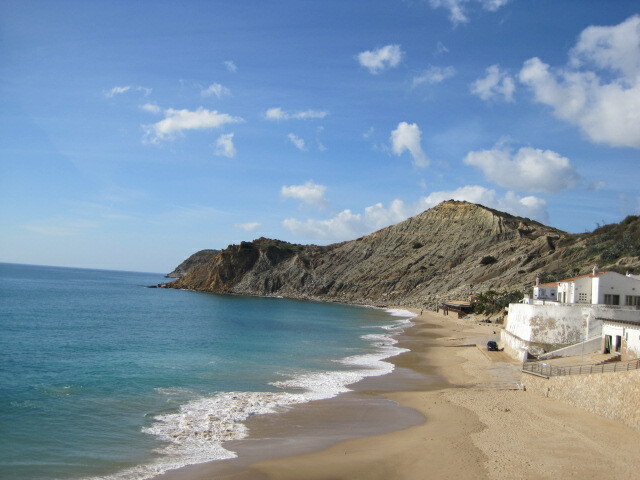 Amado We’ve turned the corner now and are heading up the Atlantic coast, where the beaches are wilder and largely untamed. 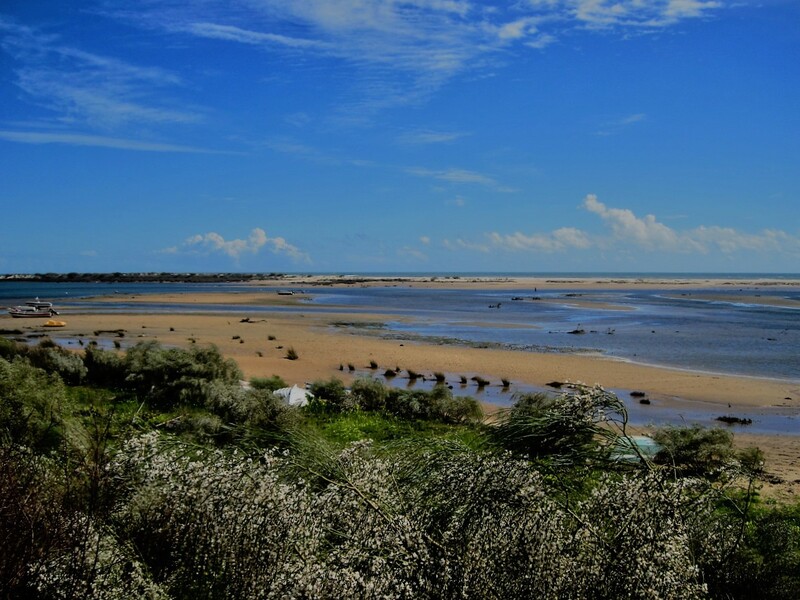 Small communities sit back off the beach and the campervan rules. 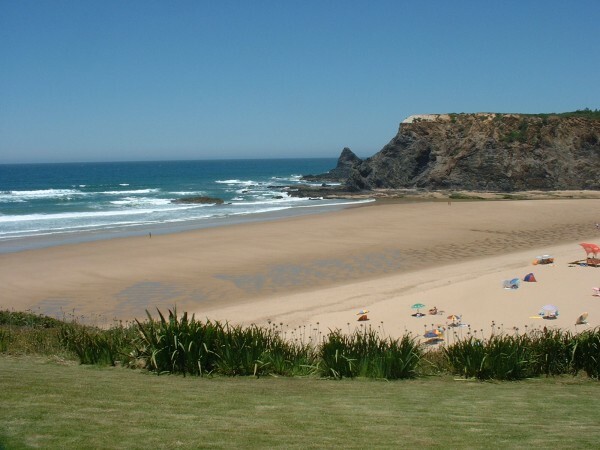 Praia de Odeceixe Oh, I loved this place! 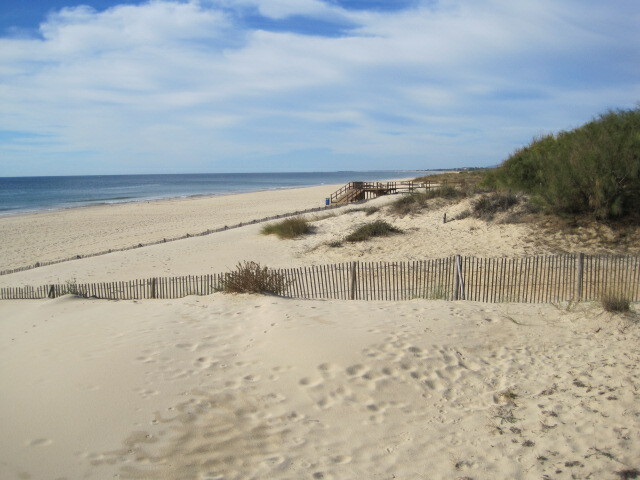 Billed as “surf city”, it was still quiet when we were there last May and the expanse of beach was the equal of anywhere I’ve been. You need good legs to get down and back up again, but there’s a rewarding little restaurant, Café Dorita, with good shelter from the winds but maintaining the views. 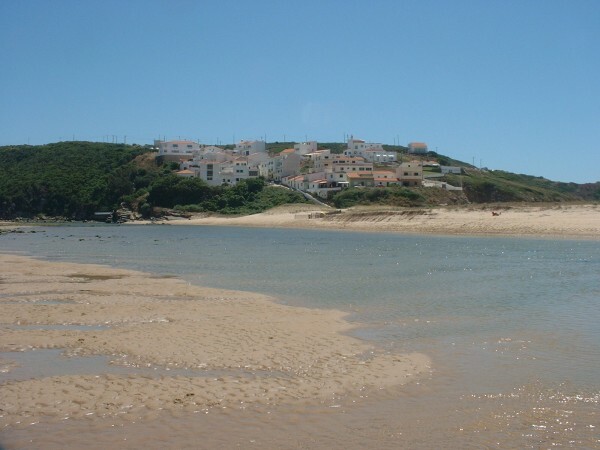 I expand on my visit in http://www.simonseeks.com/travel-guides/praia-de-odeceixe-cautionary-tale__168002. 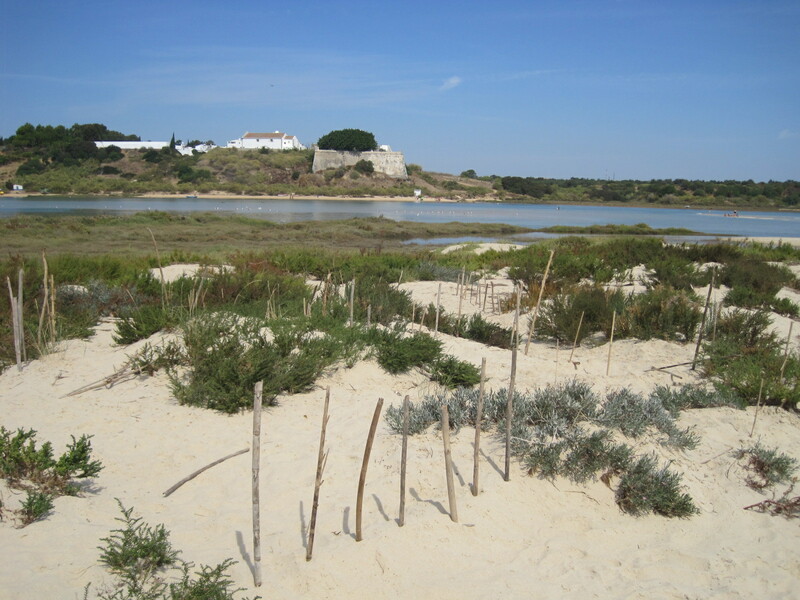 I’m still only at the Alentejo border and the beaches roll ahead of me. There are many more I’ve yet to visit, and I’m sure, many more that you can point me to. 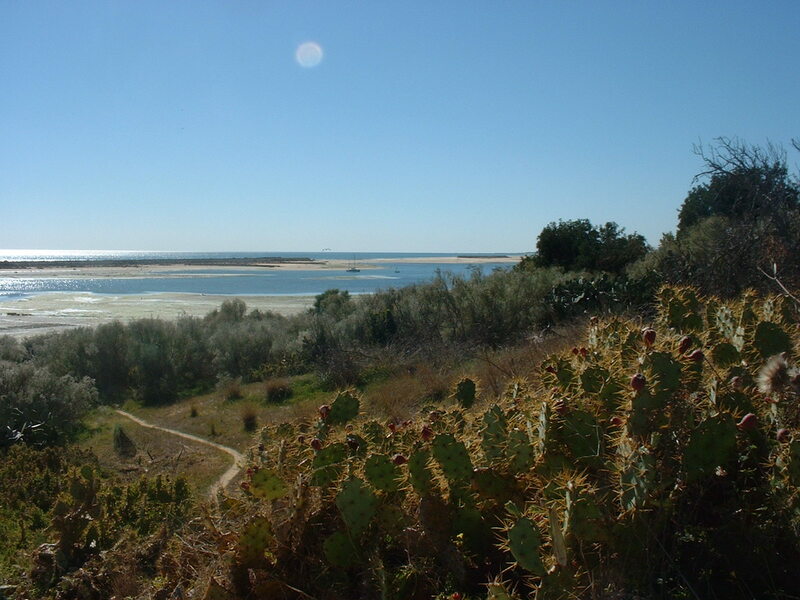 Please do join in, with your favourite Portuguese beaches and the stories that go with them. Be assured of my close attention. When it comes to beaches, I’m all ears. and don’t forget to sign in on http://myatozchallenge.com/if you want to join in.